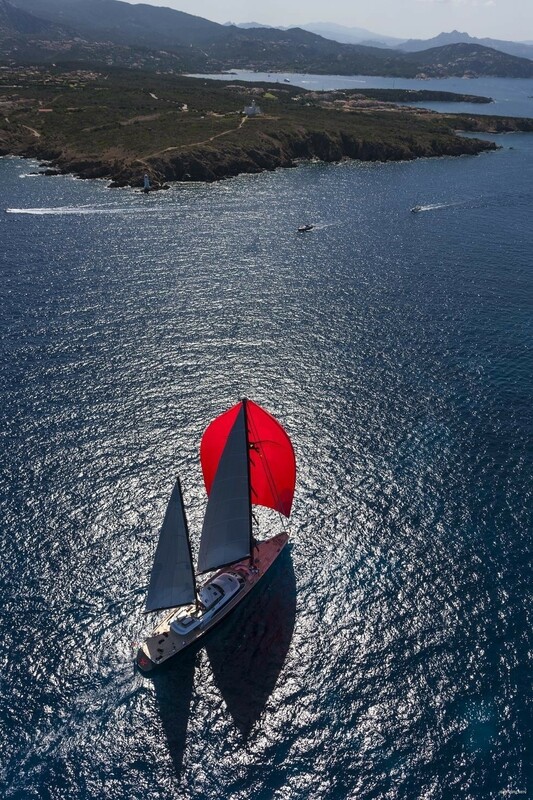 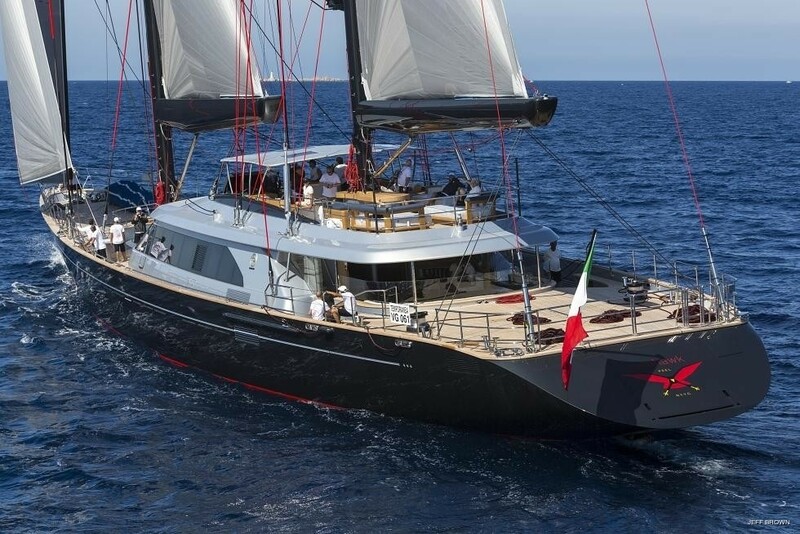 The luxury sailing yacht Seahawk (Hull C.2193) is a 60m stunning vessel built and designed by the renowned Italian shipyard Perini Navi in collaboration with world famous Ron Holland in 2013. 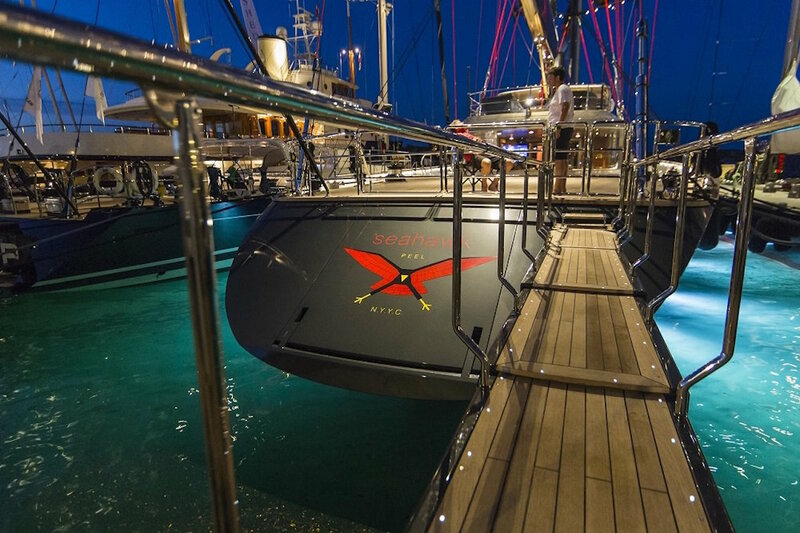 Offering accommodation for up to 12 guests, the SEAHAWK sailing yacht is available for deluxe crewed yacht charters year round. 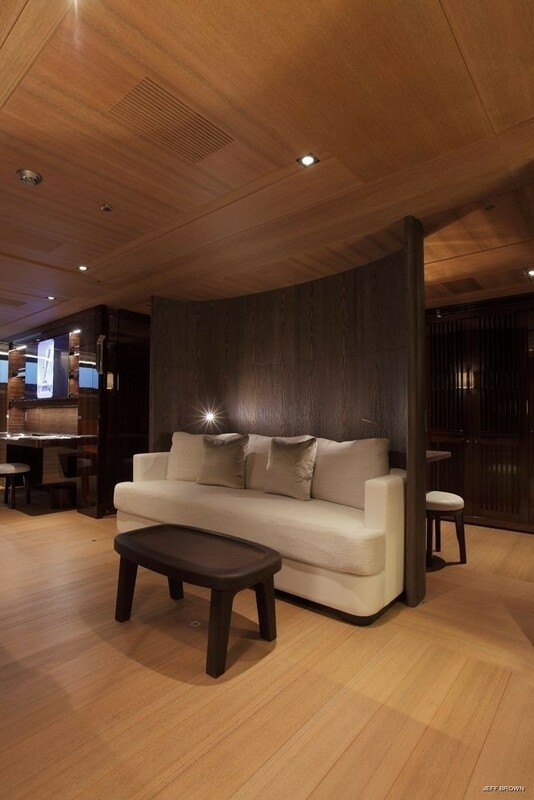 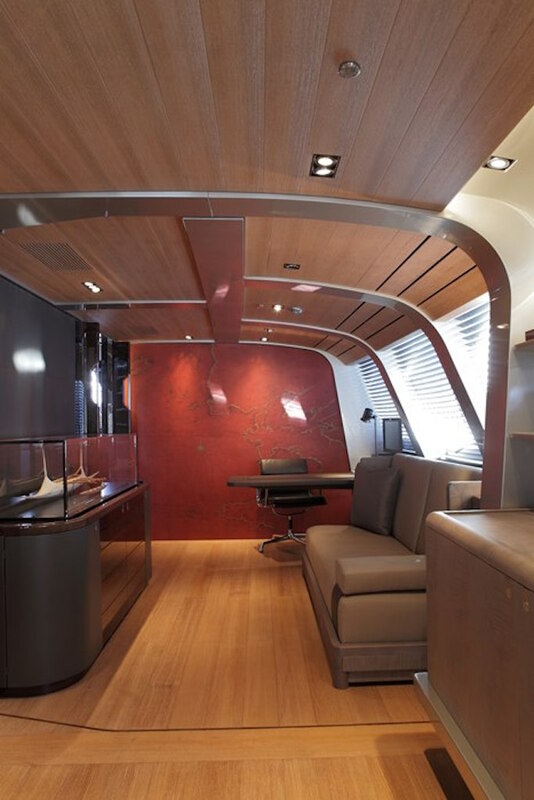 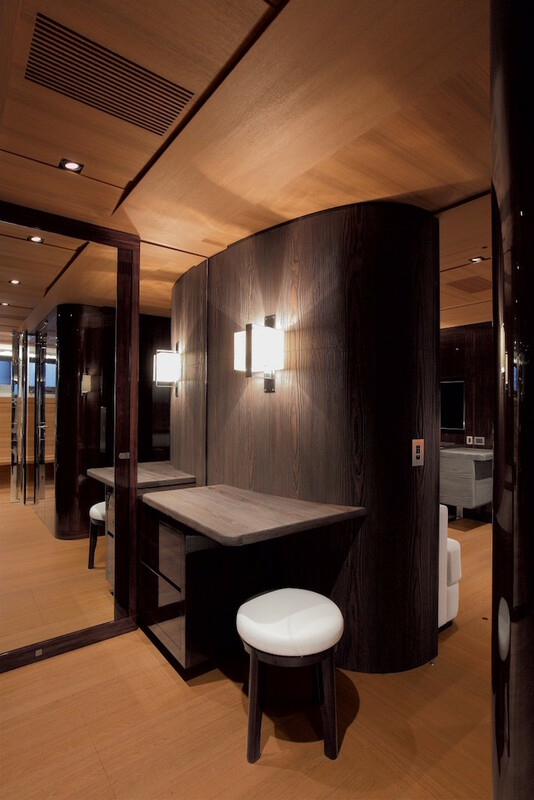 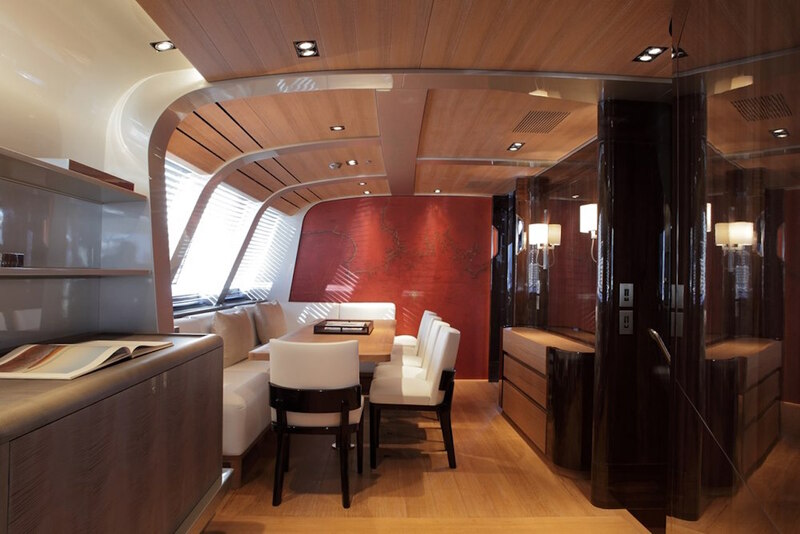 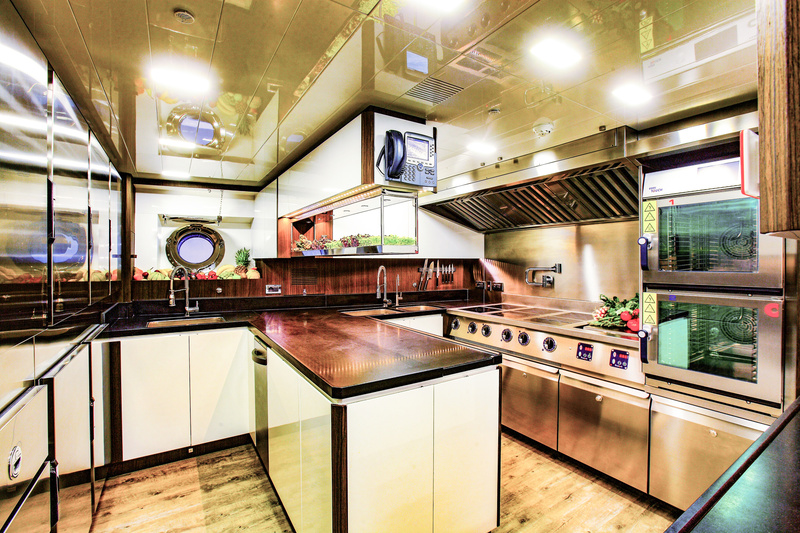 Sailing yacht SEAHAWK’s elegant contemporary interior was the design of French Christian Liaigre. 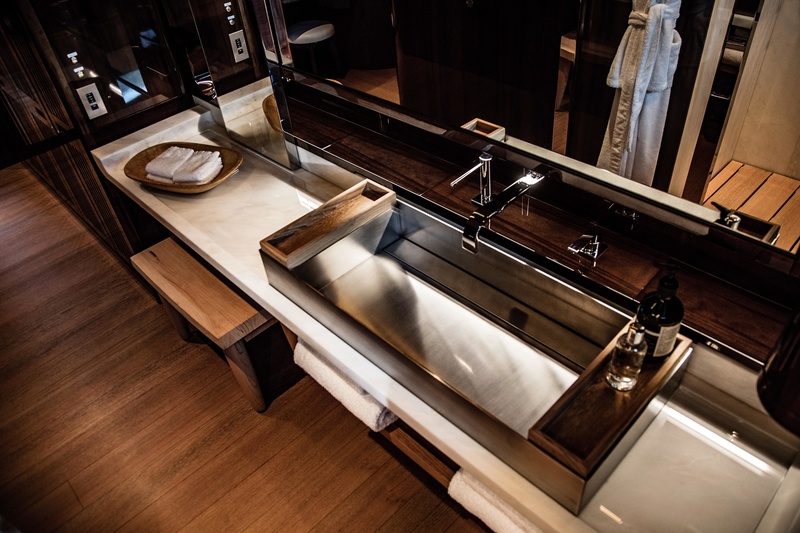 Supple leathers, exquisite joinery and exposed stainless fittings create a bespoke décor in an understated opulence of neutral tones, yet clearly boasting individual character. 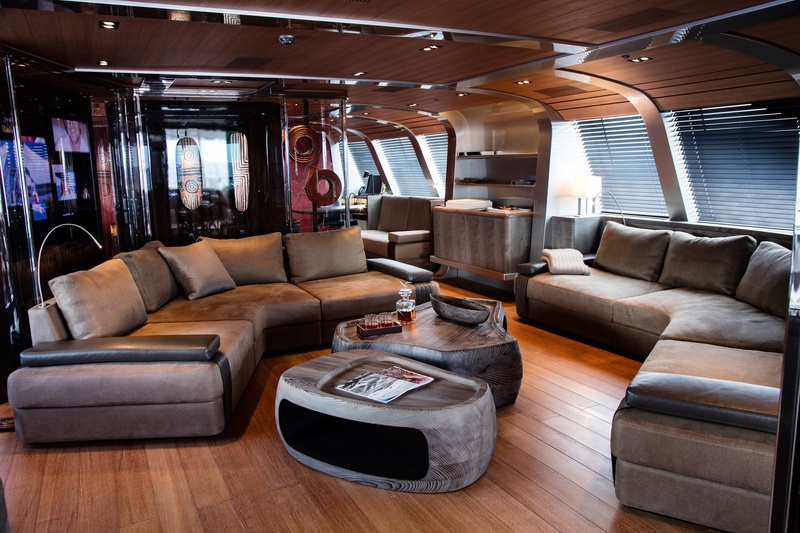 The lounge features 2 opposing leather sofas on the starboard side, with a central coffee table. 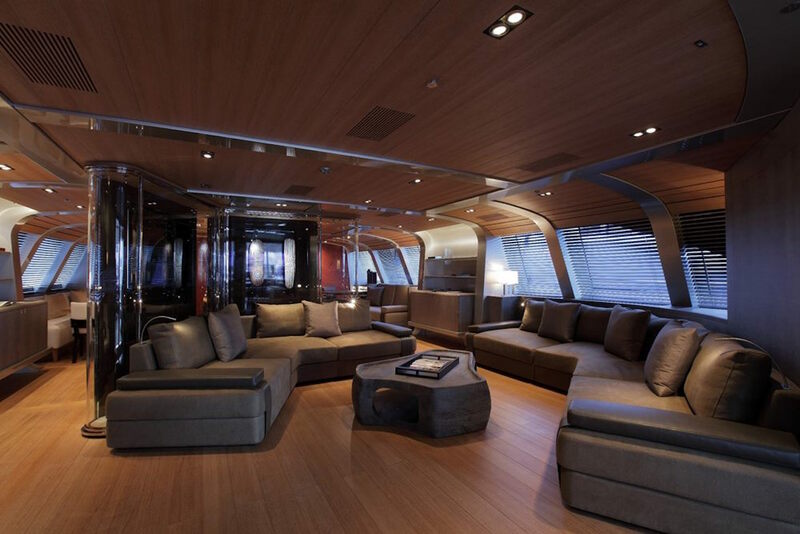 Continuing forward is a media room, with full entertainment center. 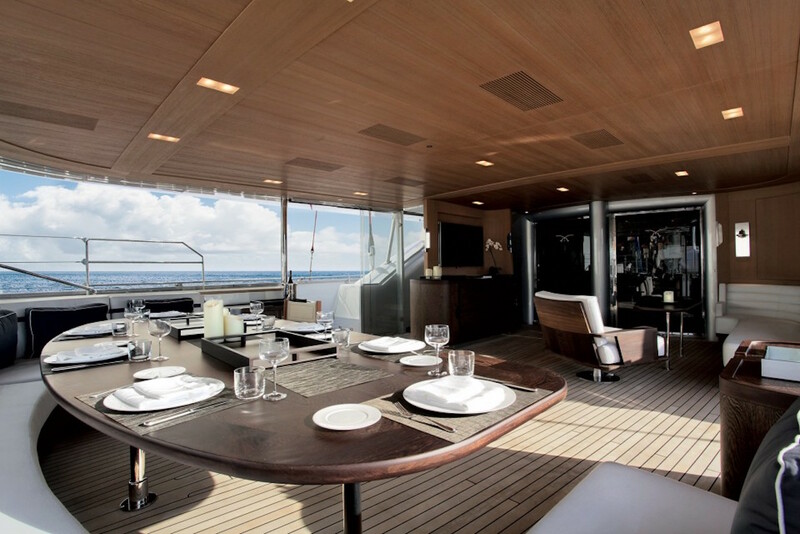 On the port side is the formal dining table, with games table separate and aft. 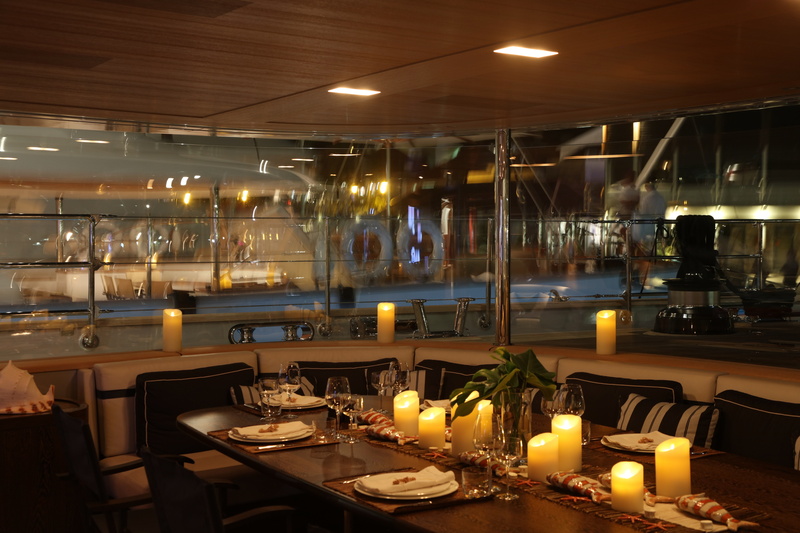 The salon and dining layout has been carefully configured to maximize the spaces potential, for both socializing and relaxing. 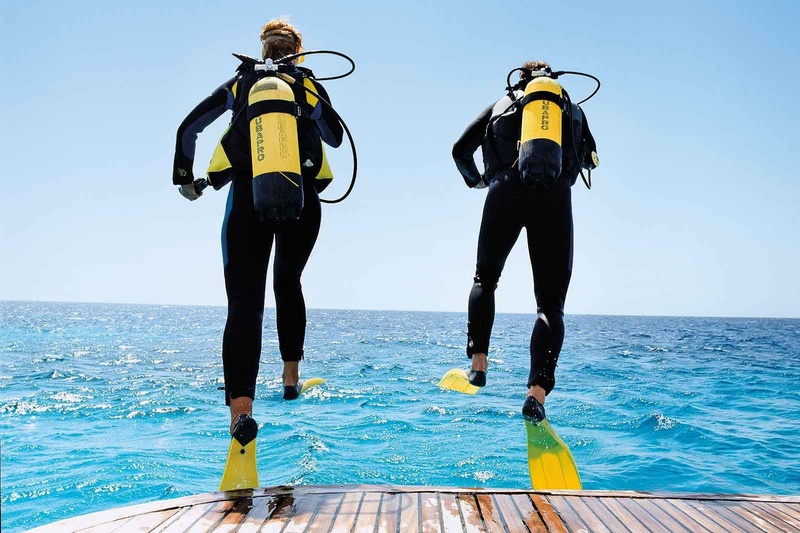 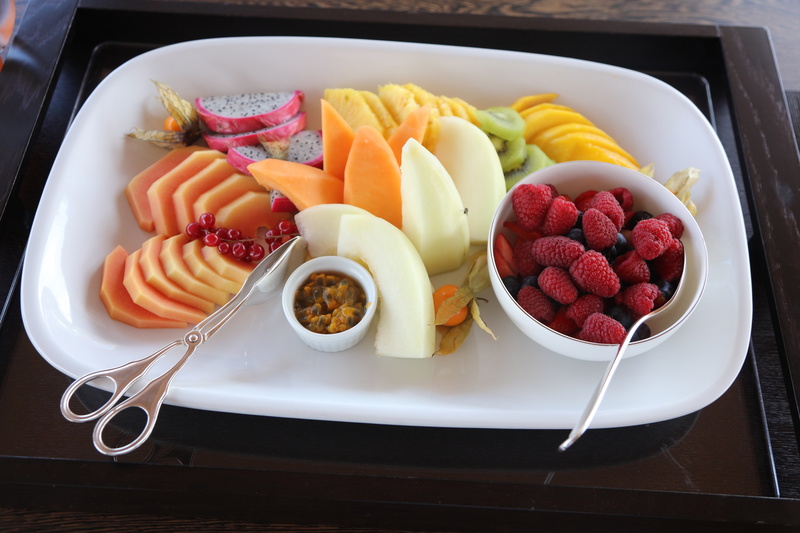 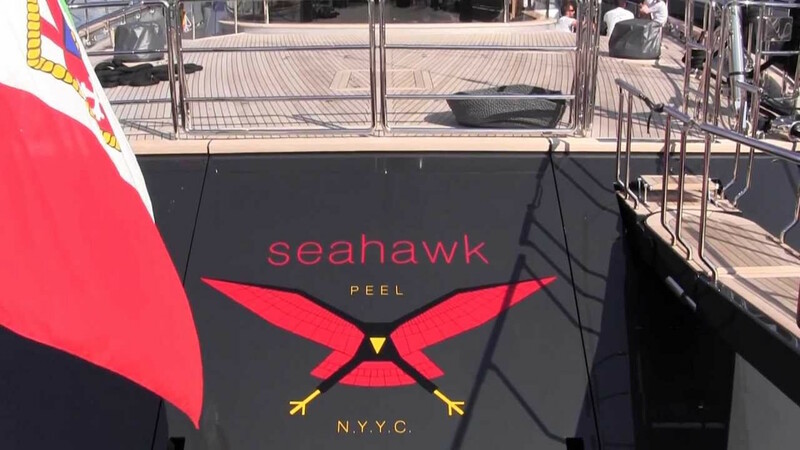 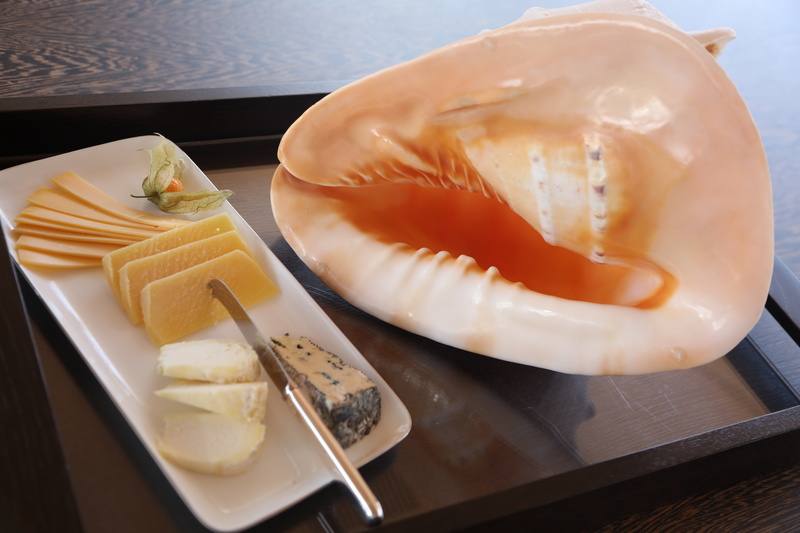 10 to 12 yacht charter guests can be easily accommodated on board luxury yacht Seahawk. 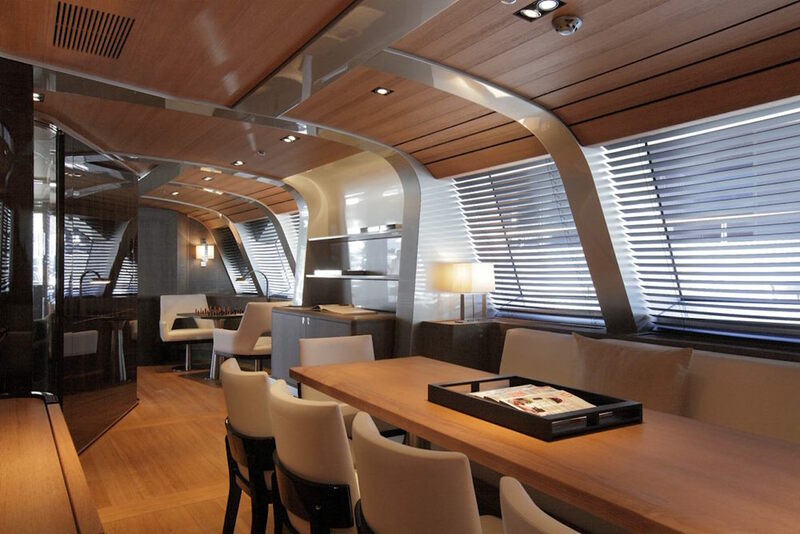 She offers five staterooms situated on the lower deck, including a full-beam master suite which can be divided in two to create a sixth cabin. 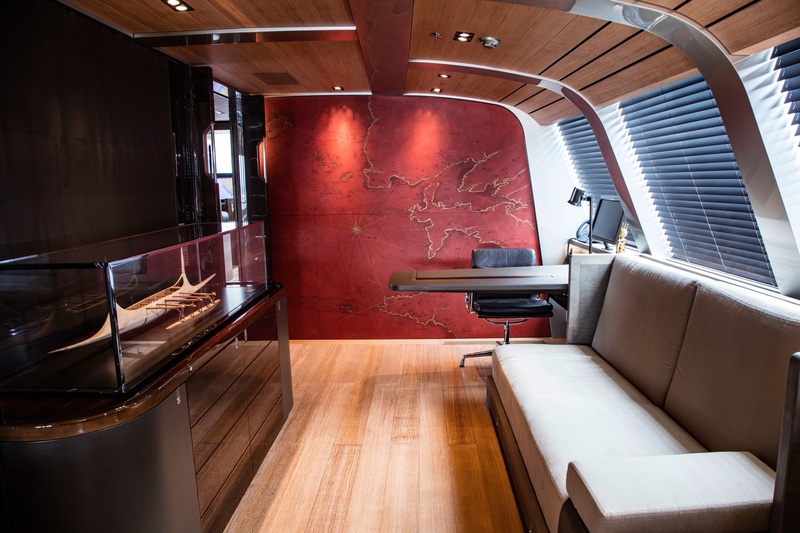 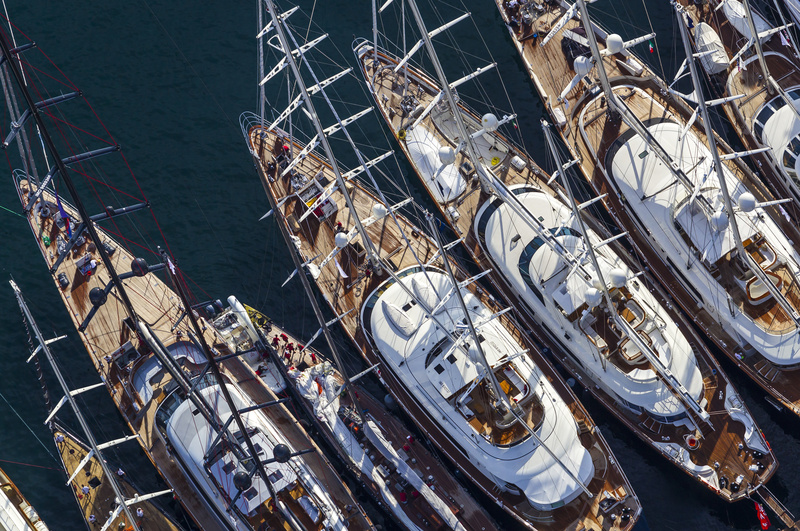 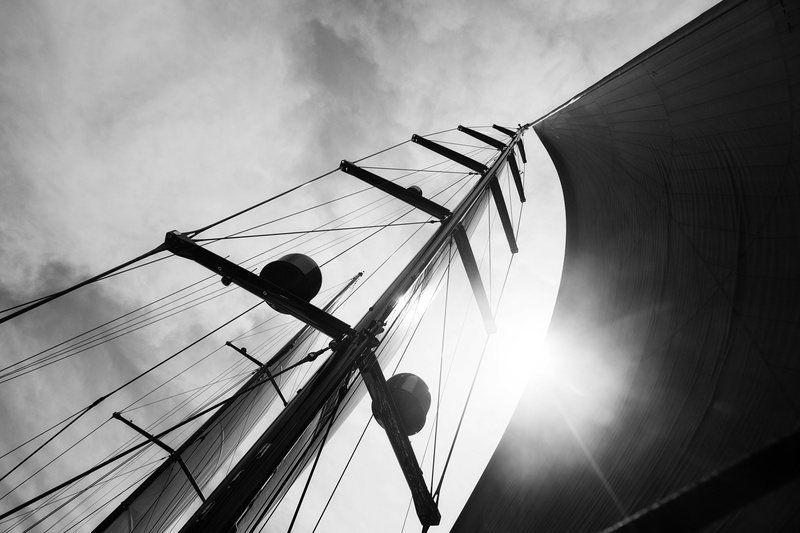 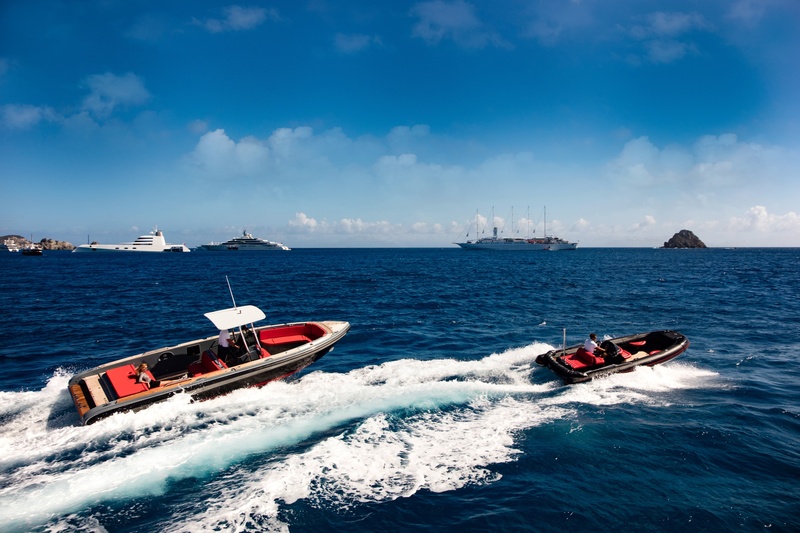 Exterior living aboard the Perini Navi SEAHAWK is capacious and well-appointed. 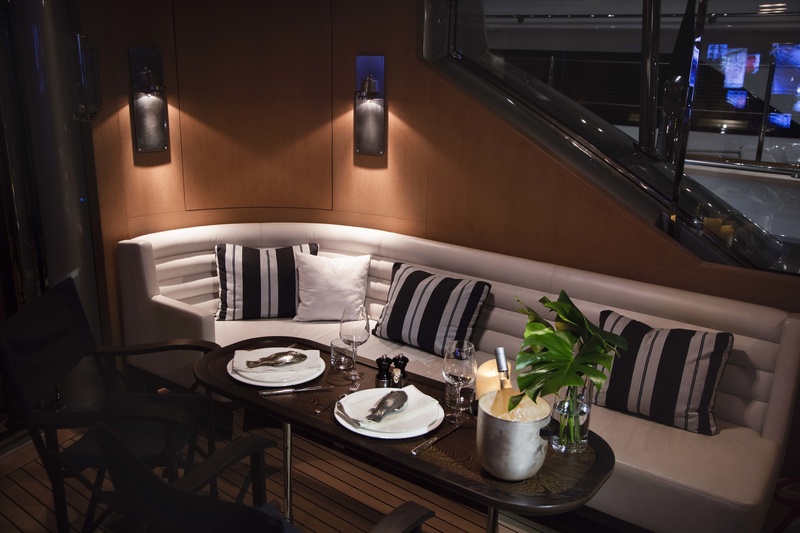 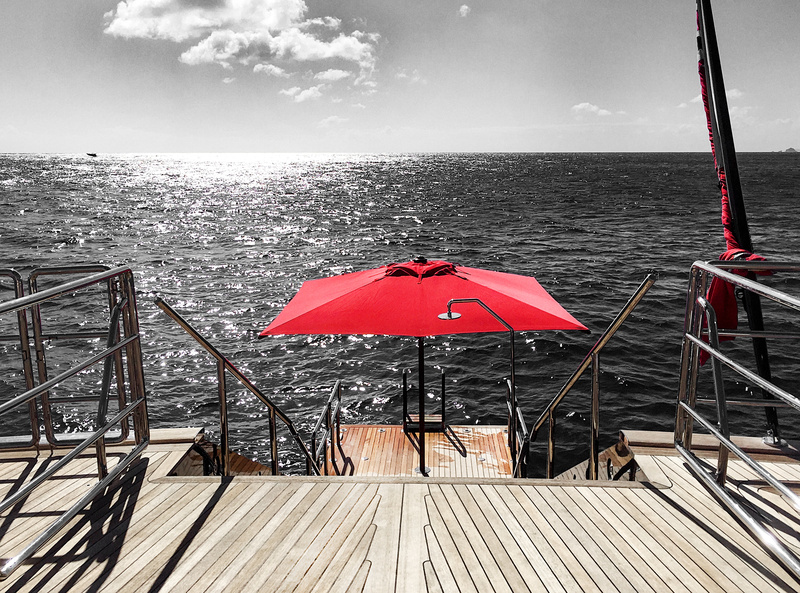 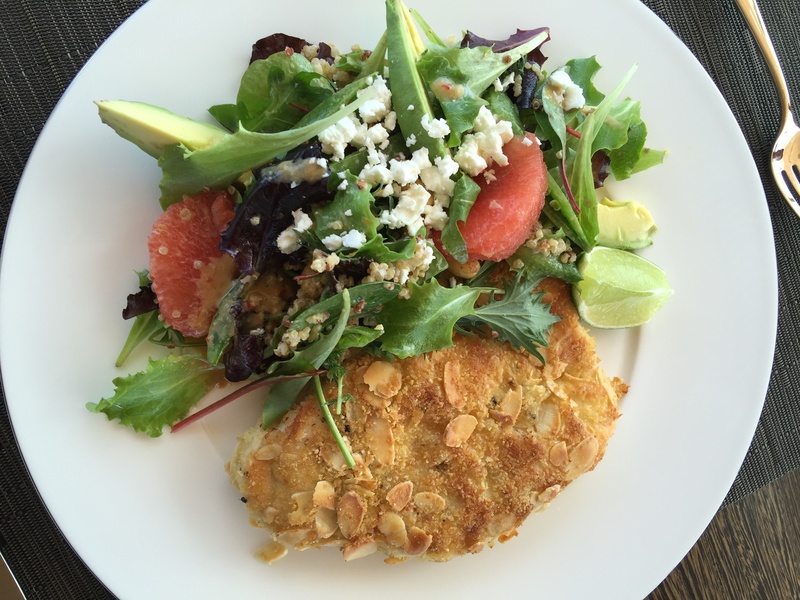 The aft deck offers a shaded area with alfresco dining, wet bar and additional seating, boasting direct access to the salon, the aft deck is the perfect venue for entertaining large groups. 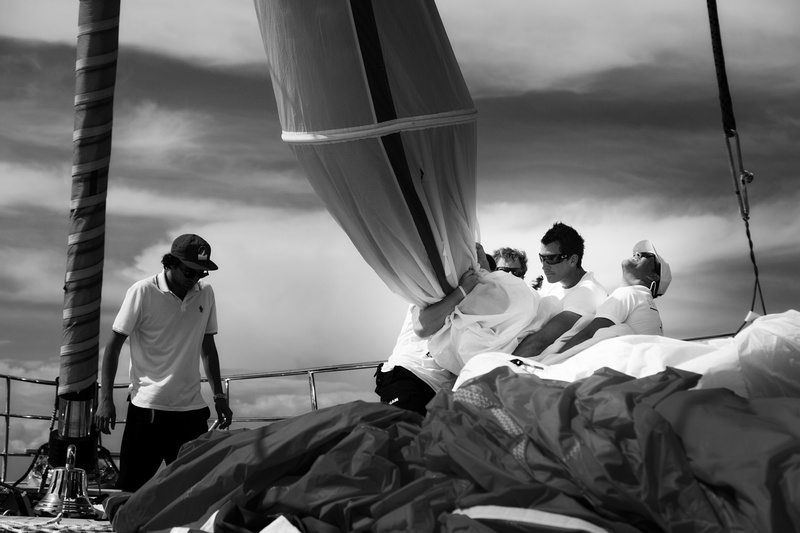 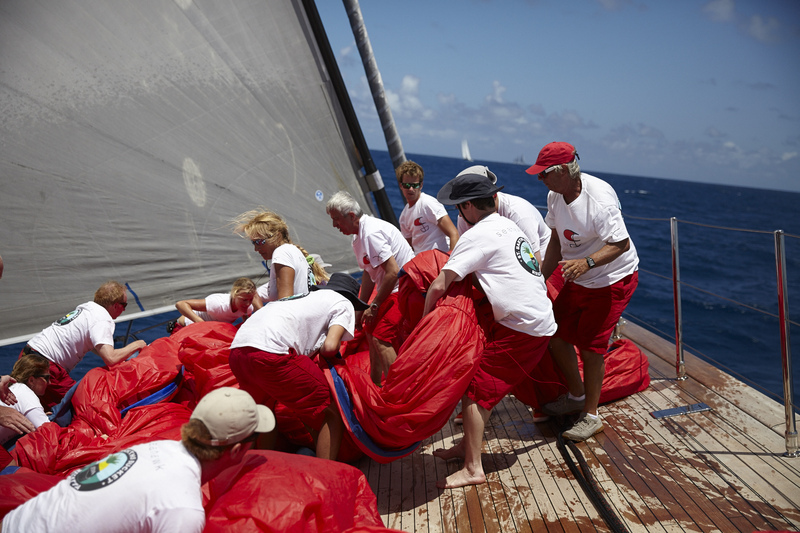 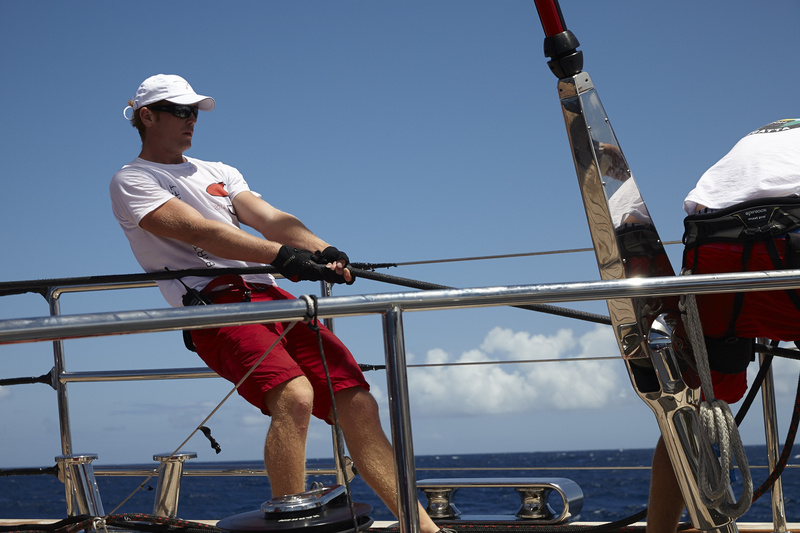 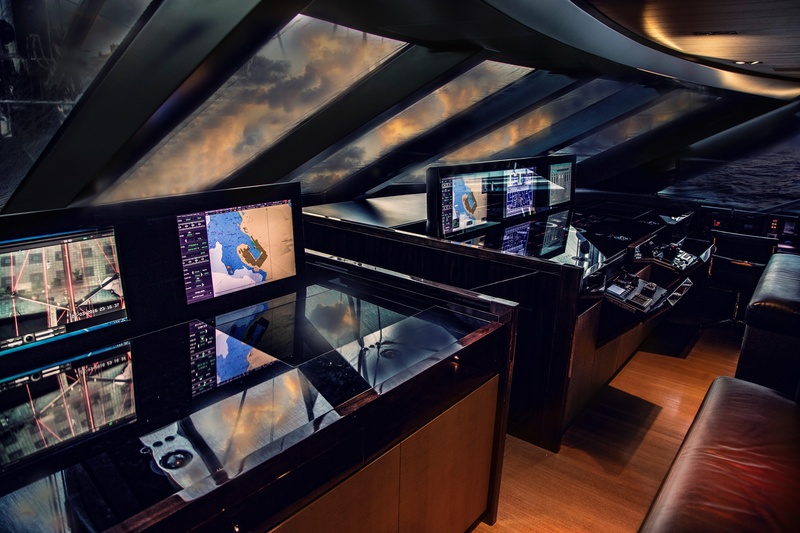 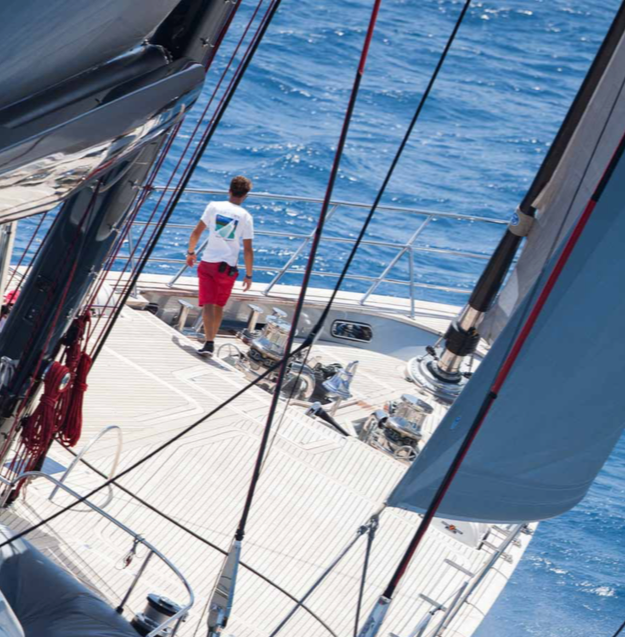 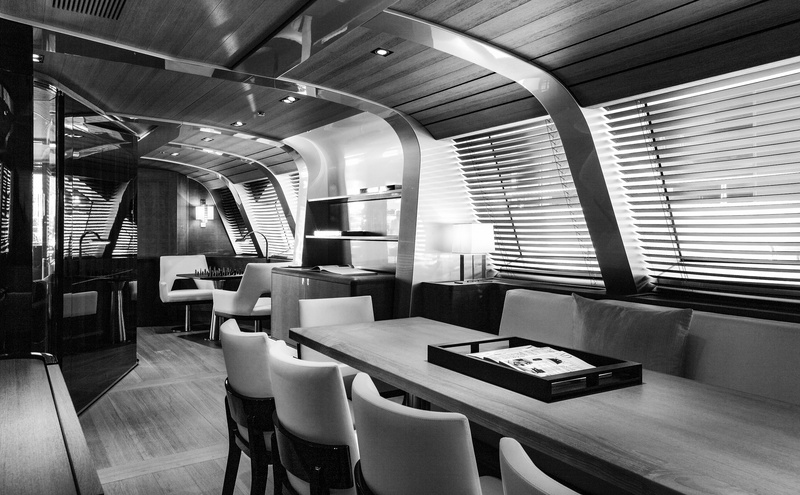 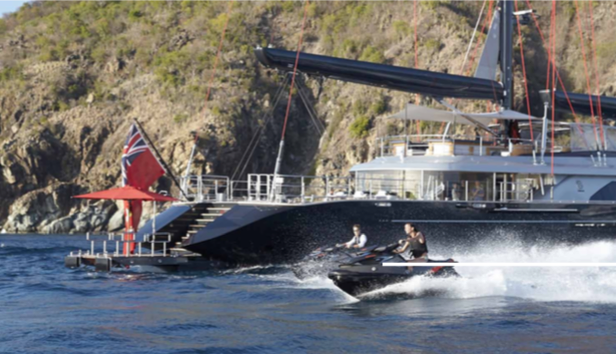 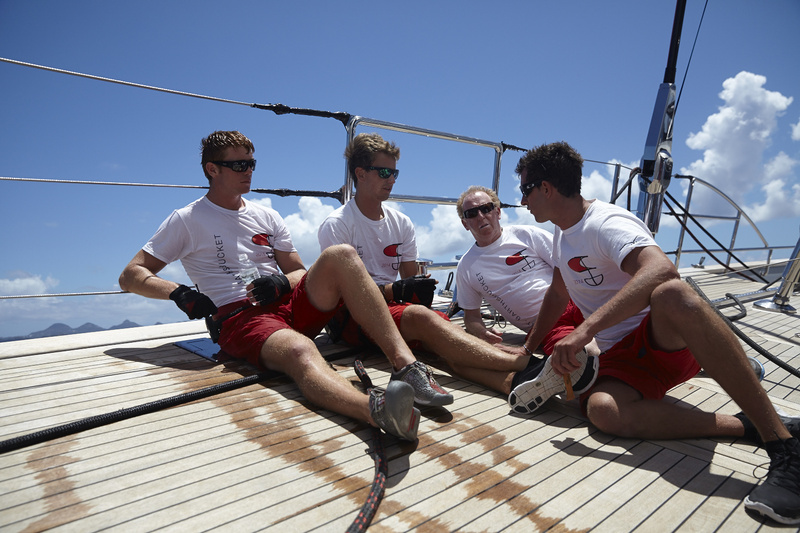 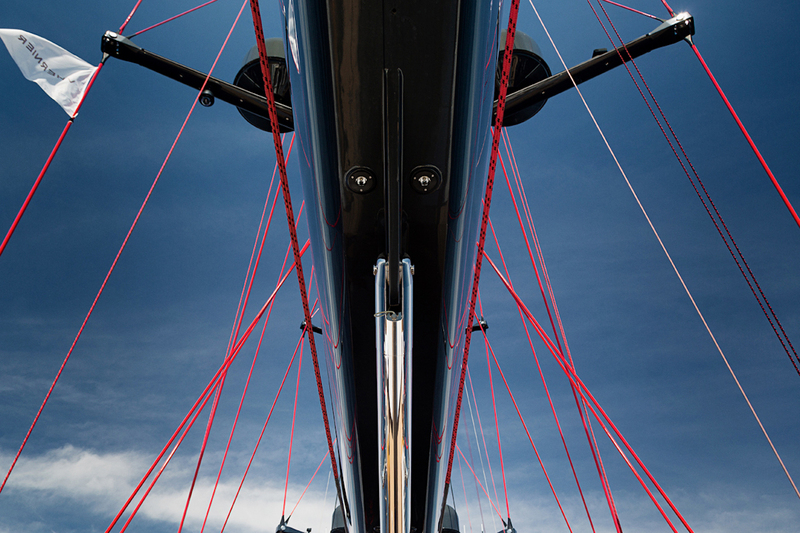 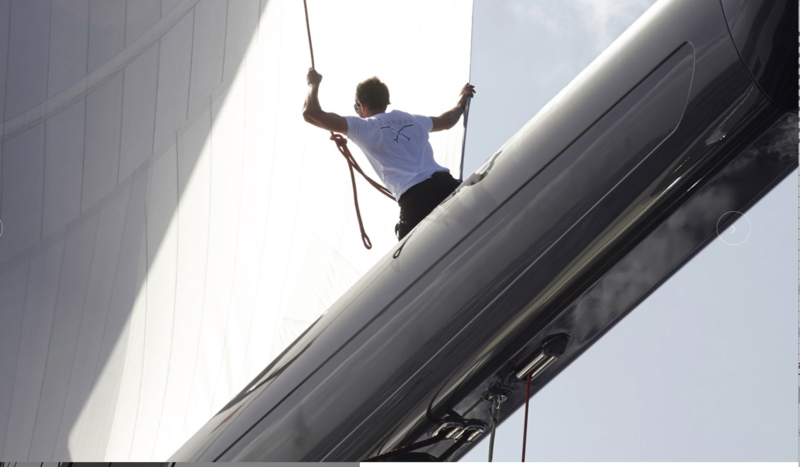 The main deck wraps around the yacht 360°, offering an incredible 11.4m (37.5ft) beam. 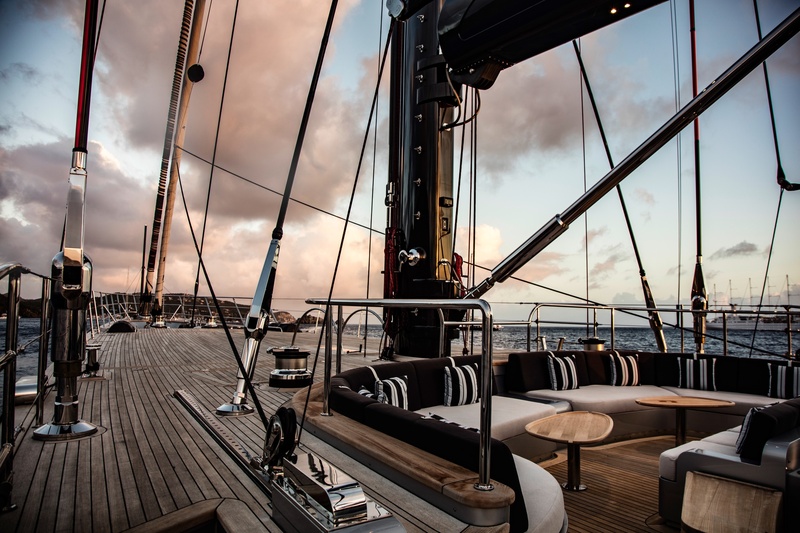 Side decks lead effortlessly to the after deck and forward to a generous foredeck, complete with additional built in seating and cocktail tables. 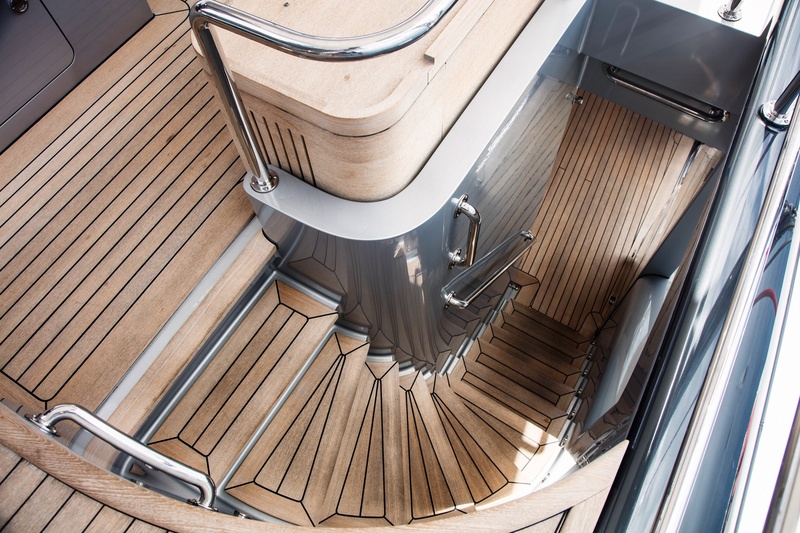 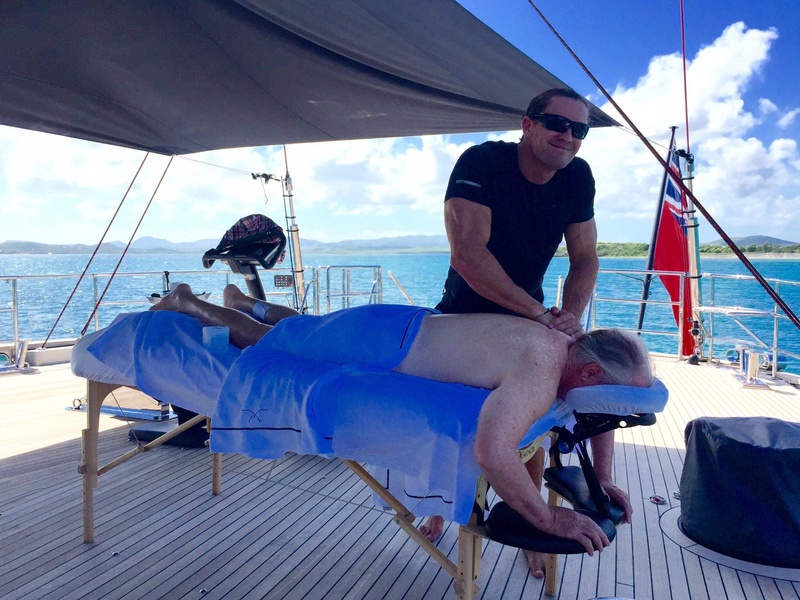 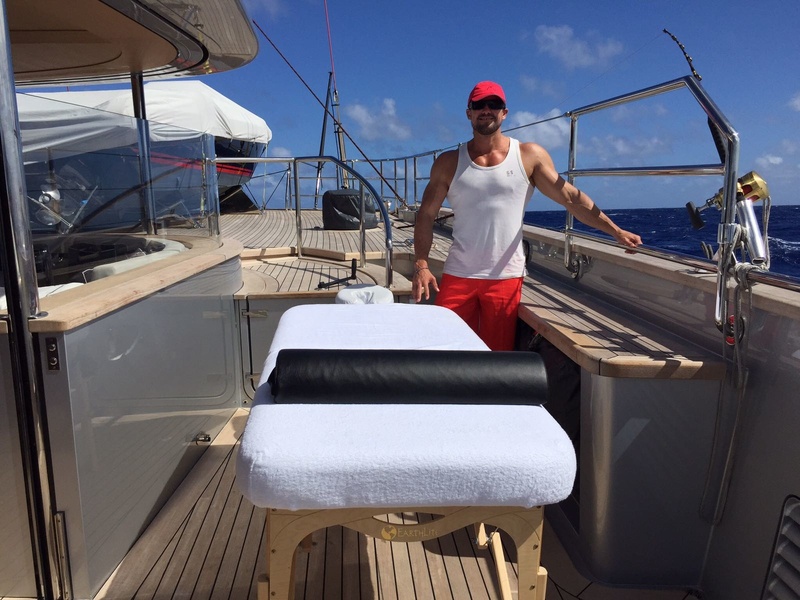 S/Y SEAHAWK features an upper flybridge deck, where guests may relax in shaded comfort or on the custom sunpads, while watching the professional crew of 11 sail the performance built, charter yacht SEAHAWK. 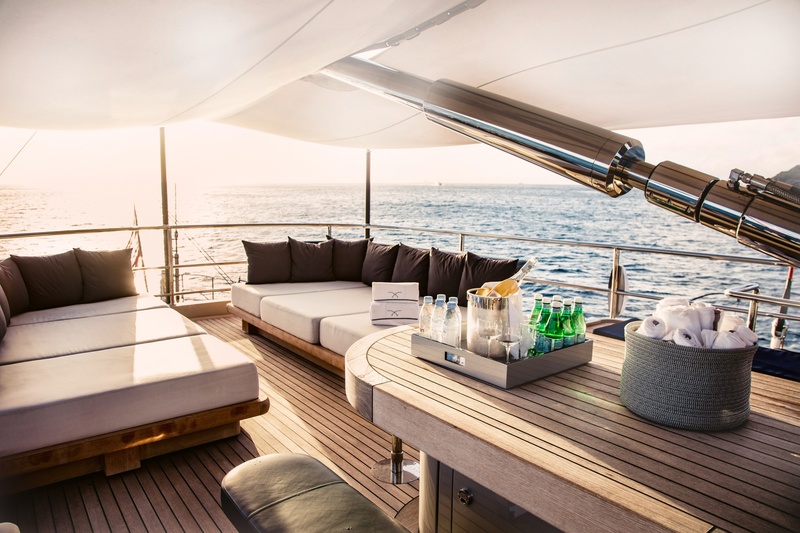 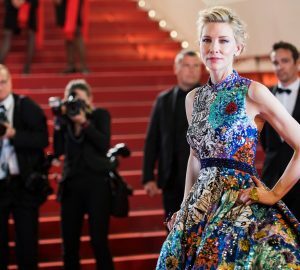 An exterior home cinema is also available on the upper deck, one of the many fabulous amenities offered aboard the luxury sailing yacht SEAHAWK. 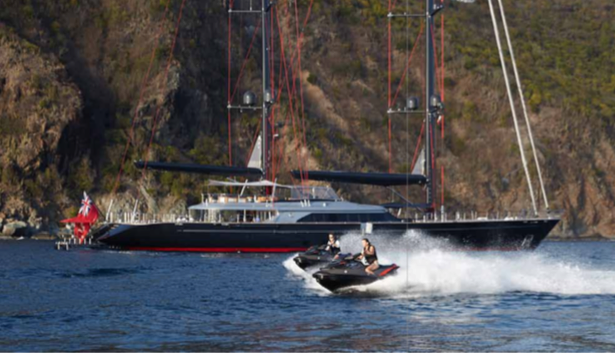 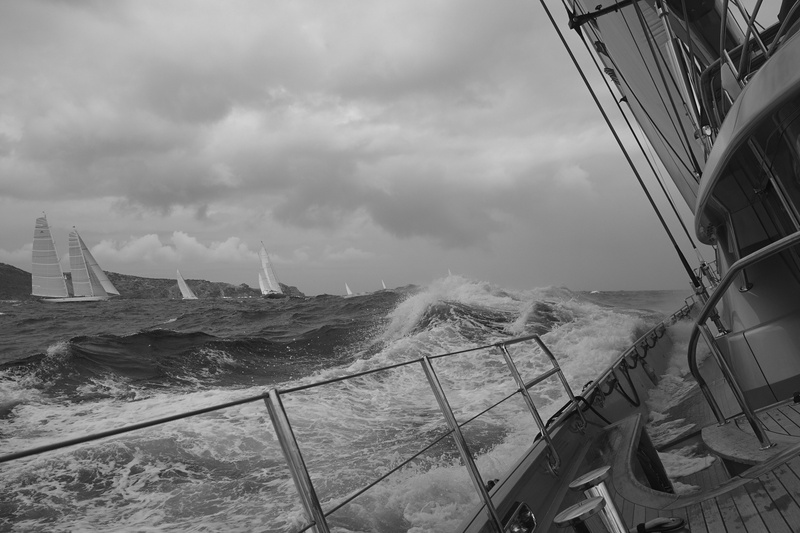 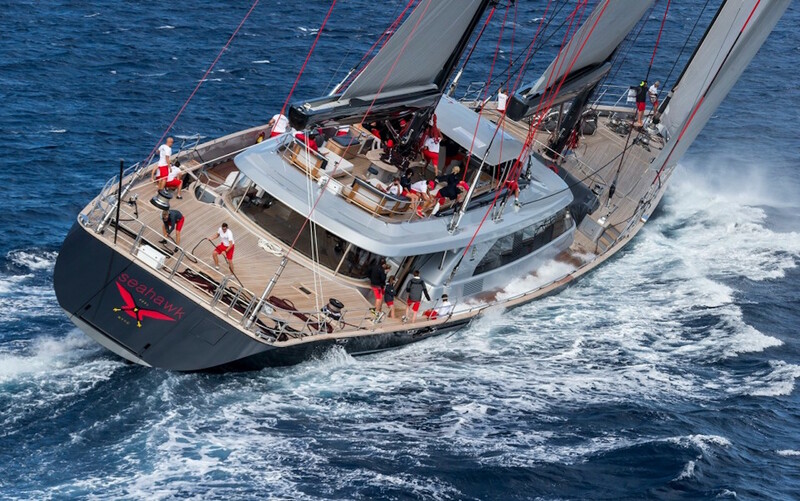 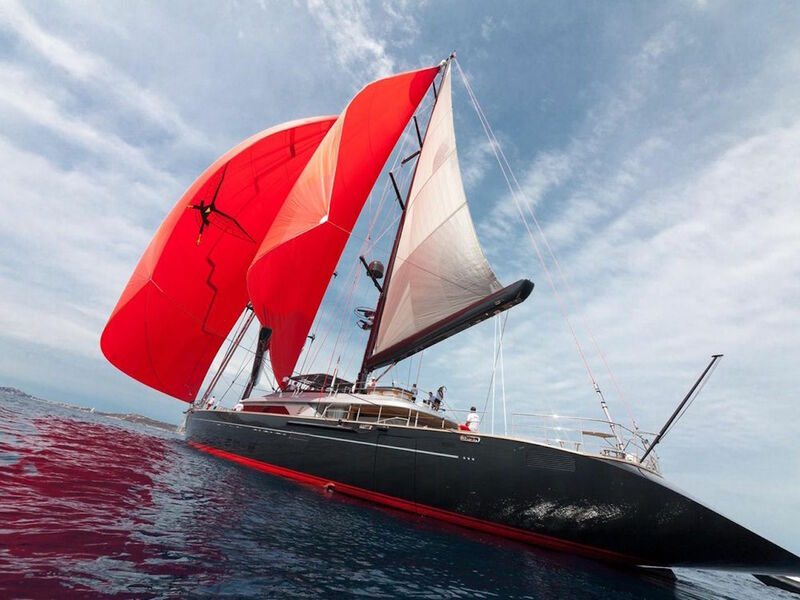 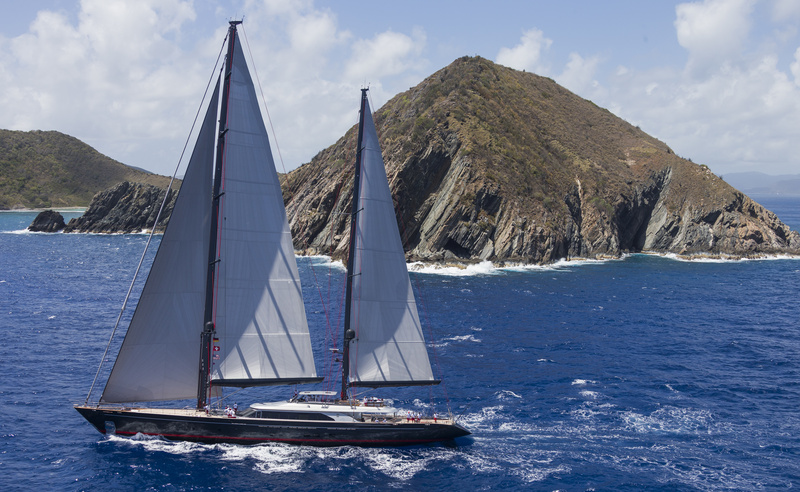 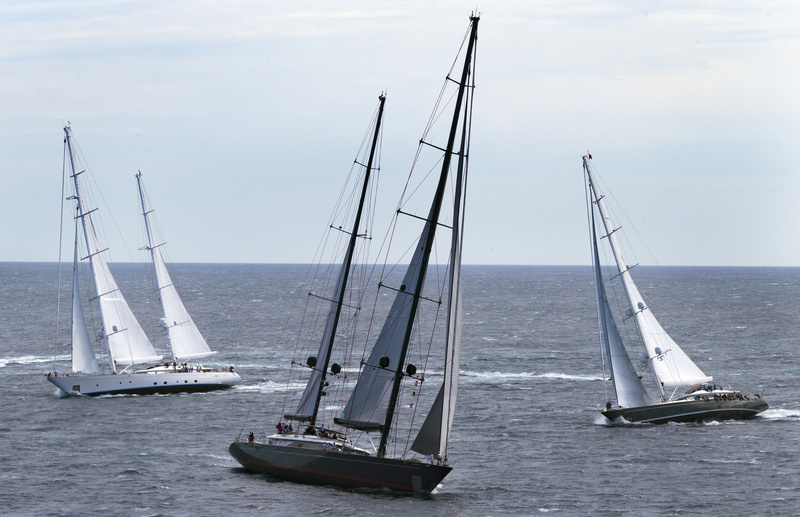 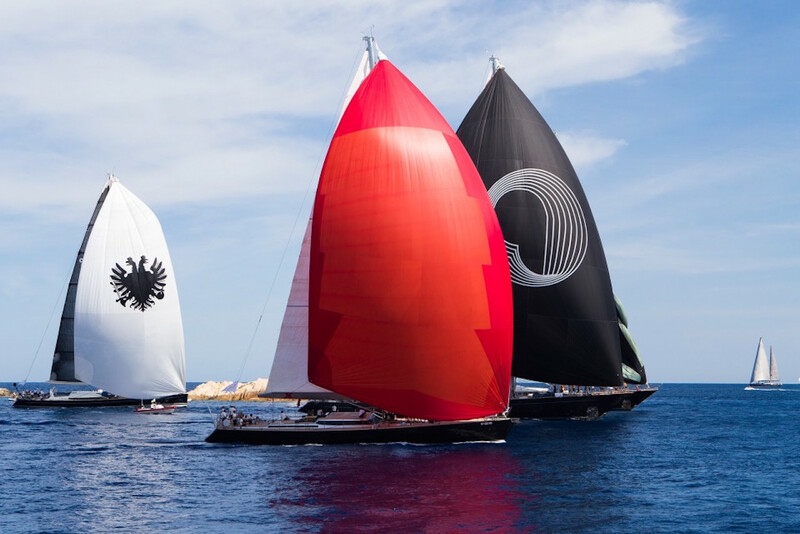 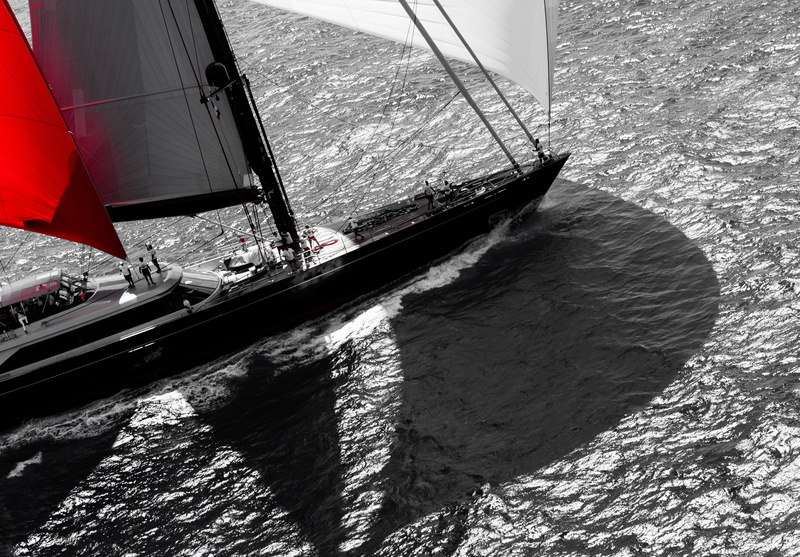 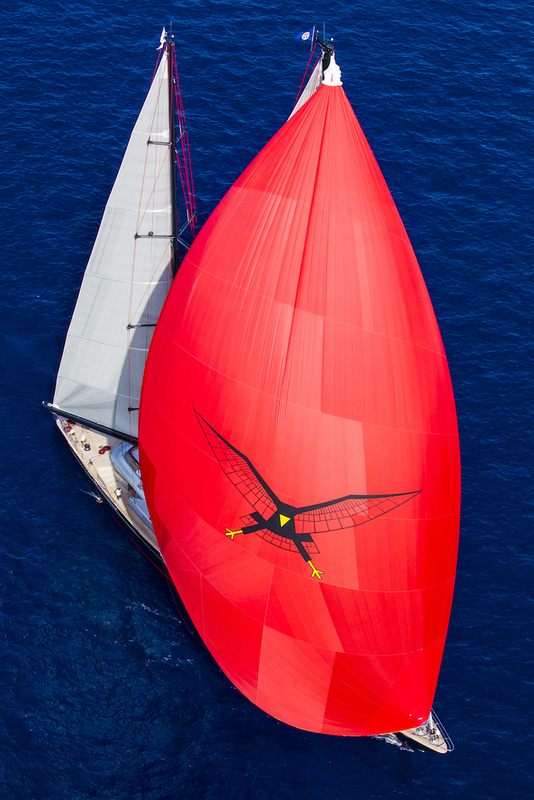 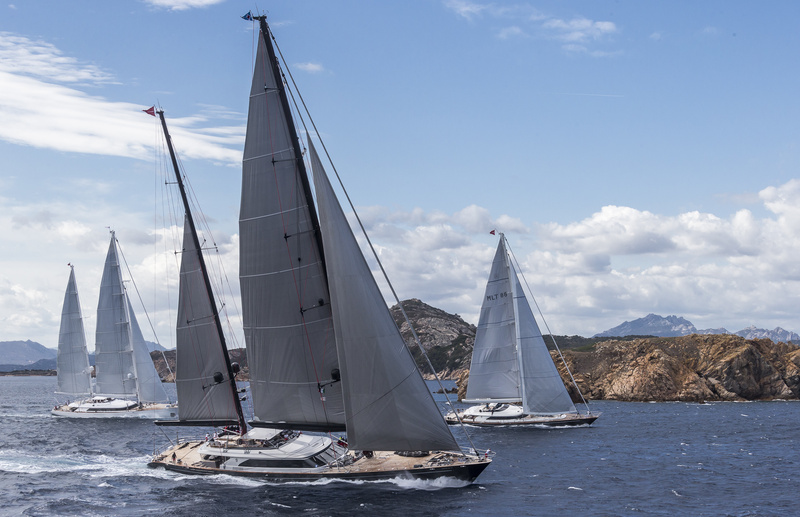 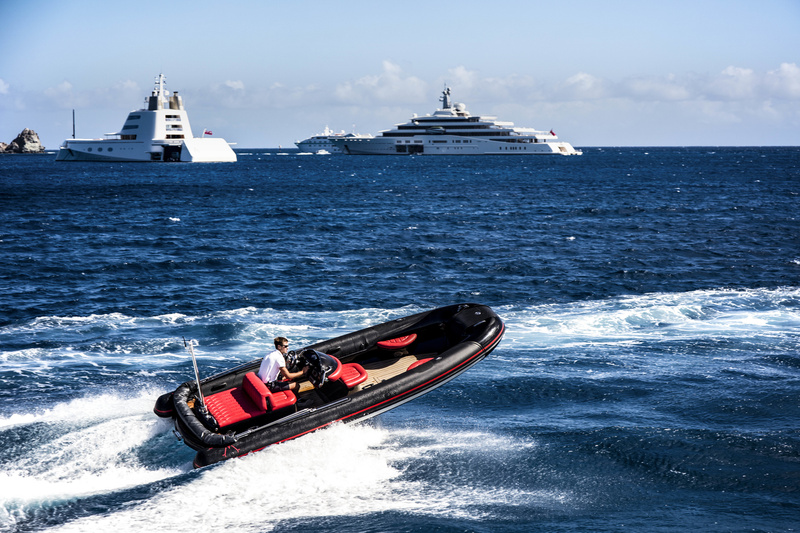 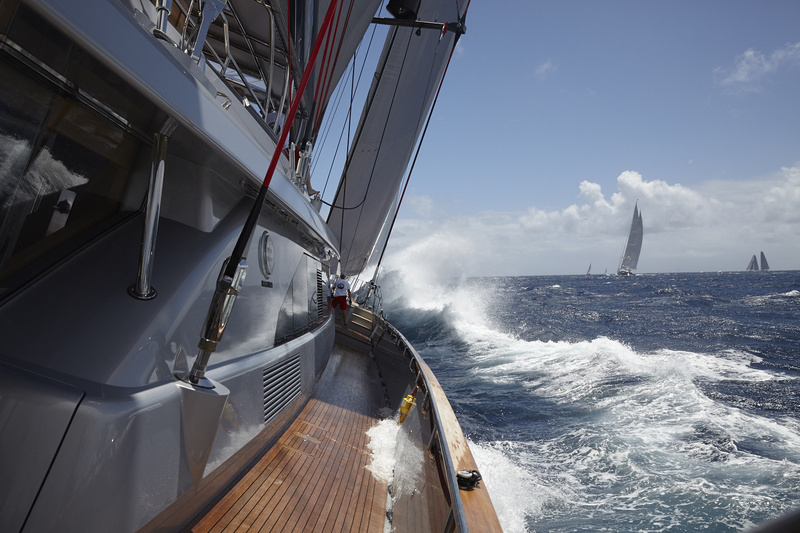 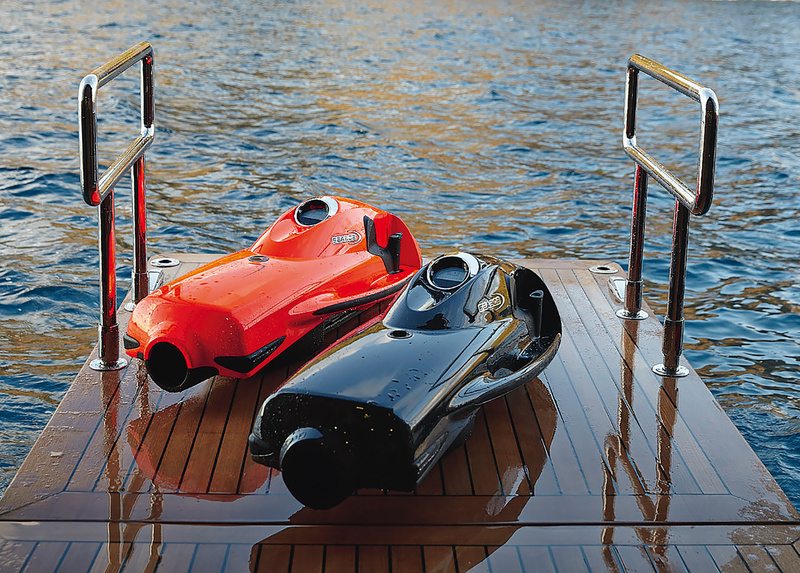 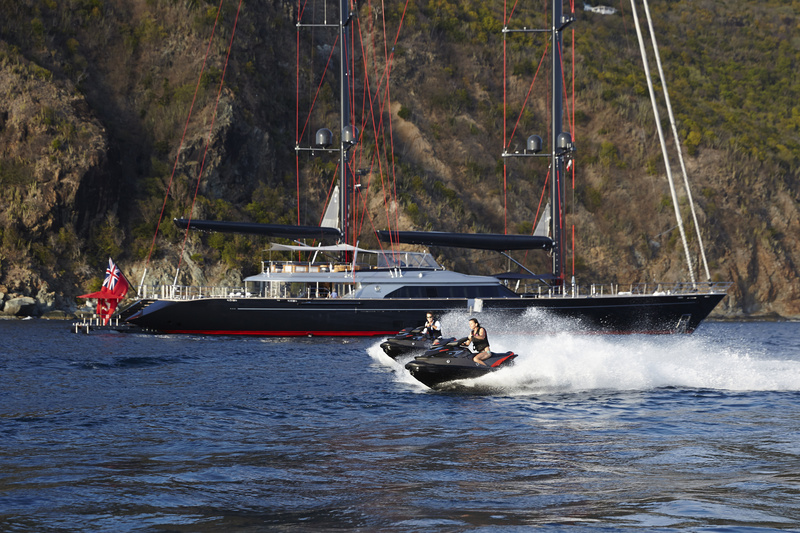 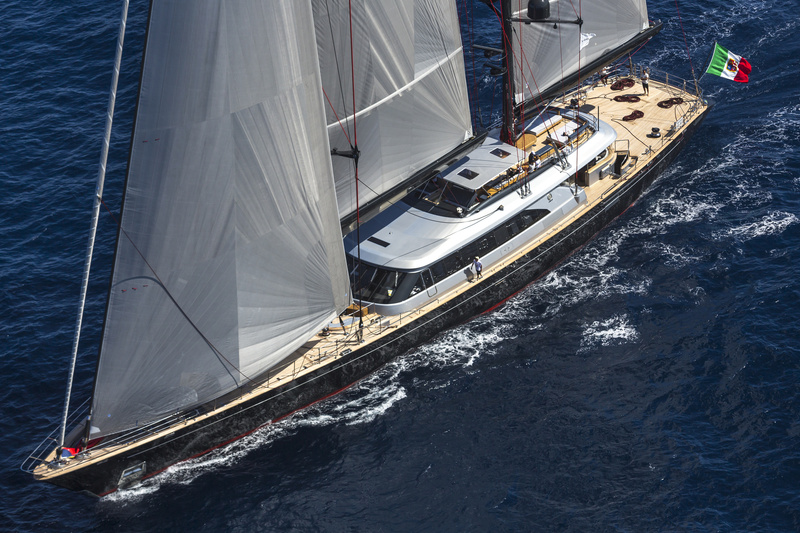 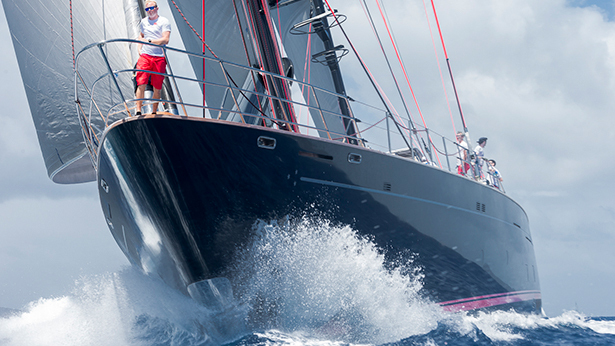 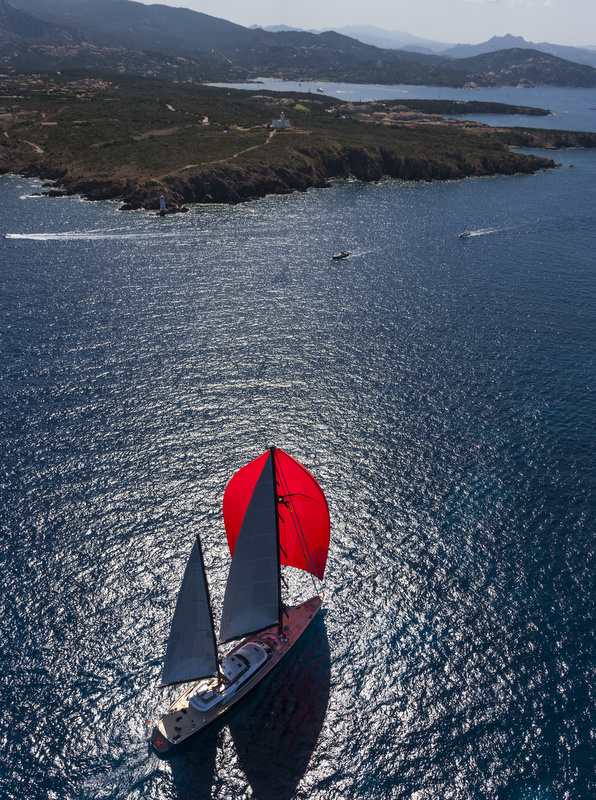 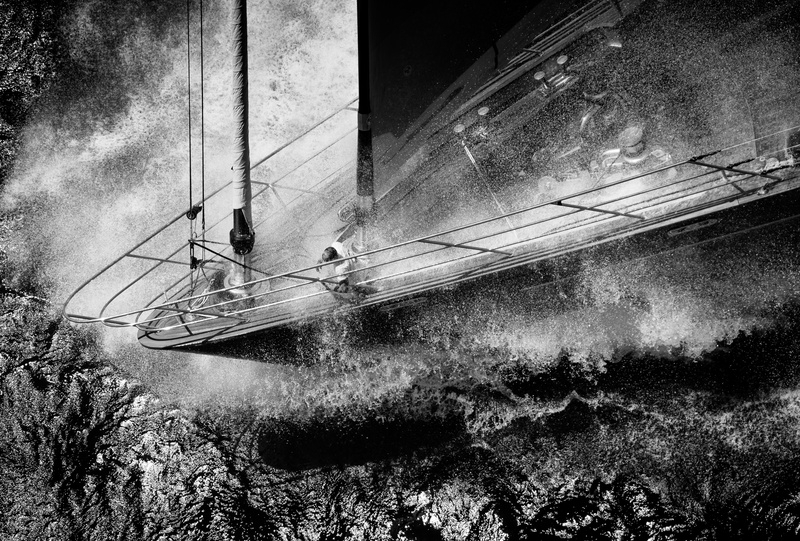 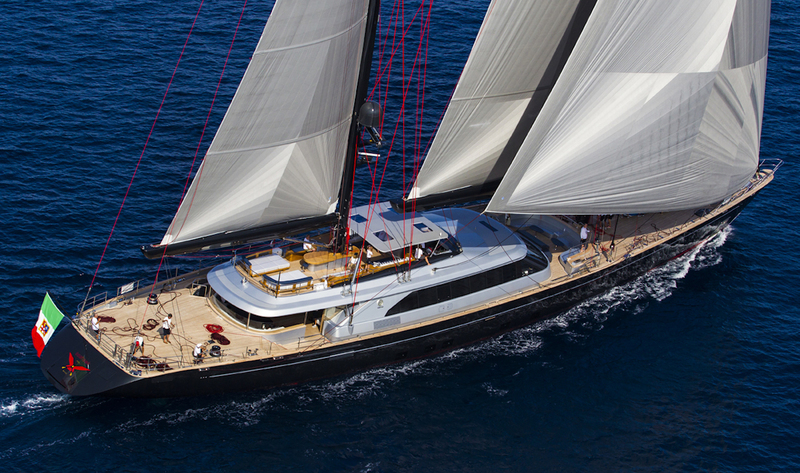 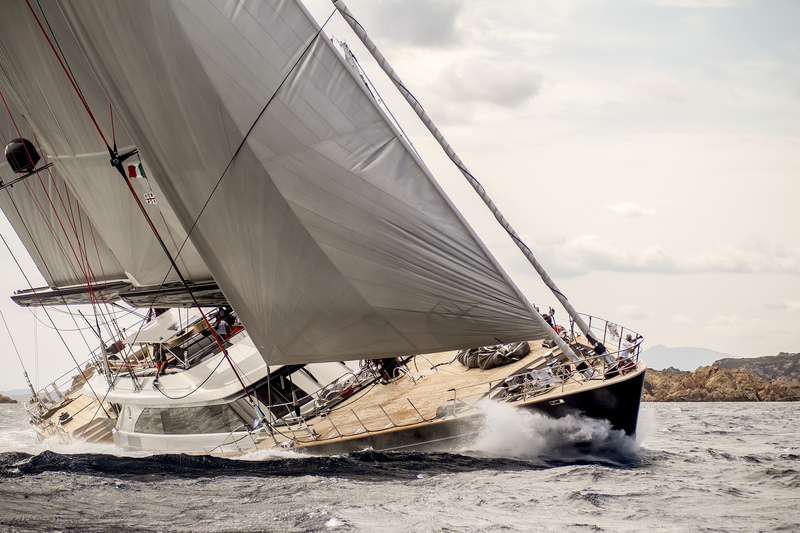 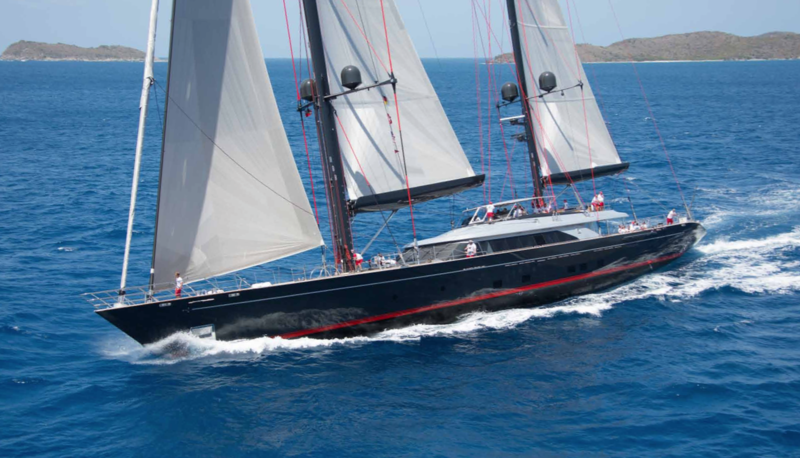 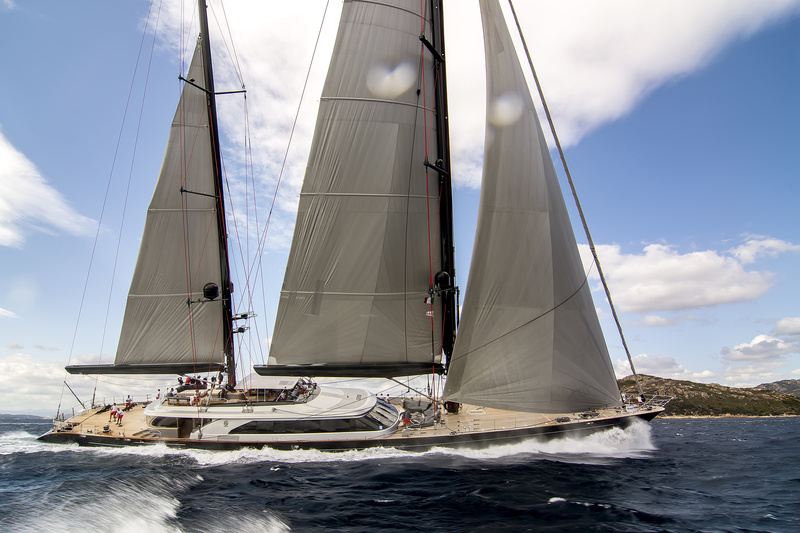 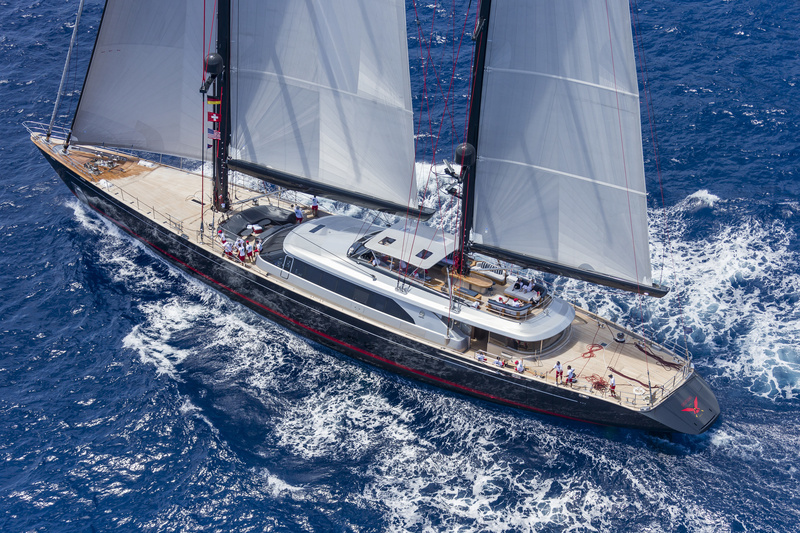 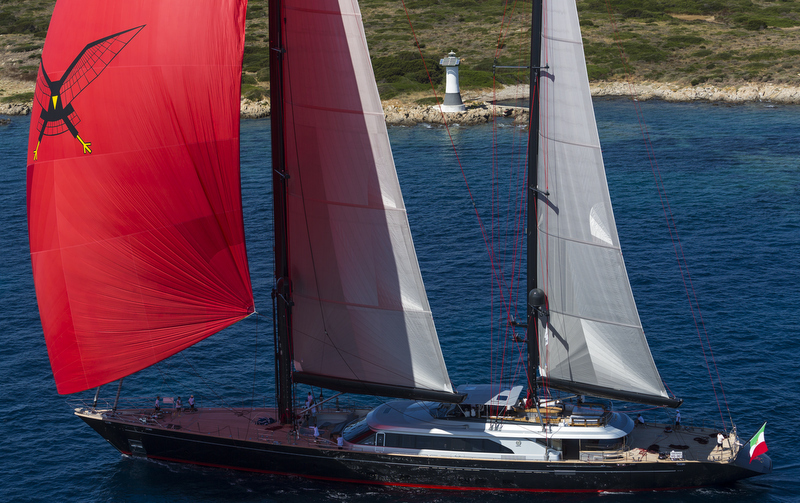 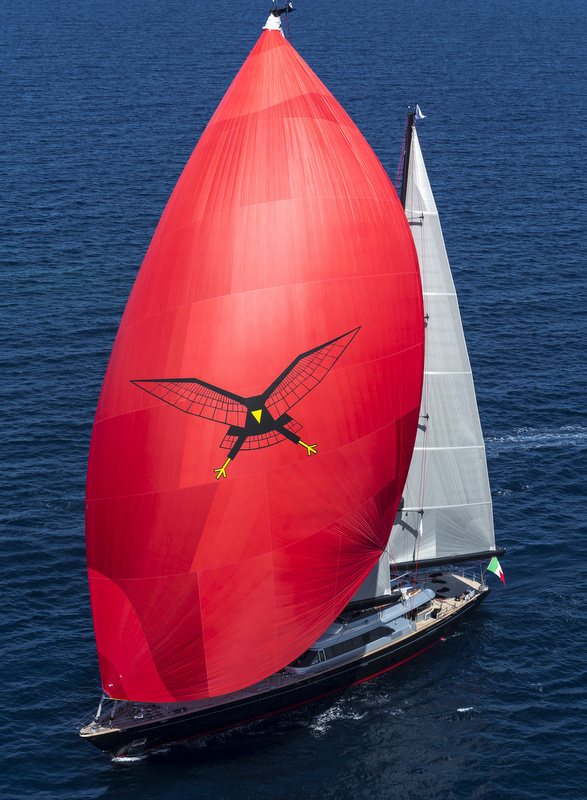 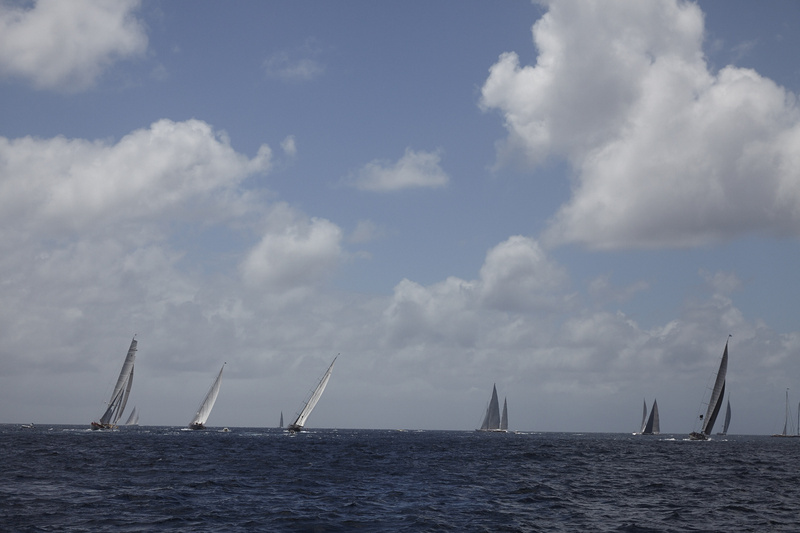 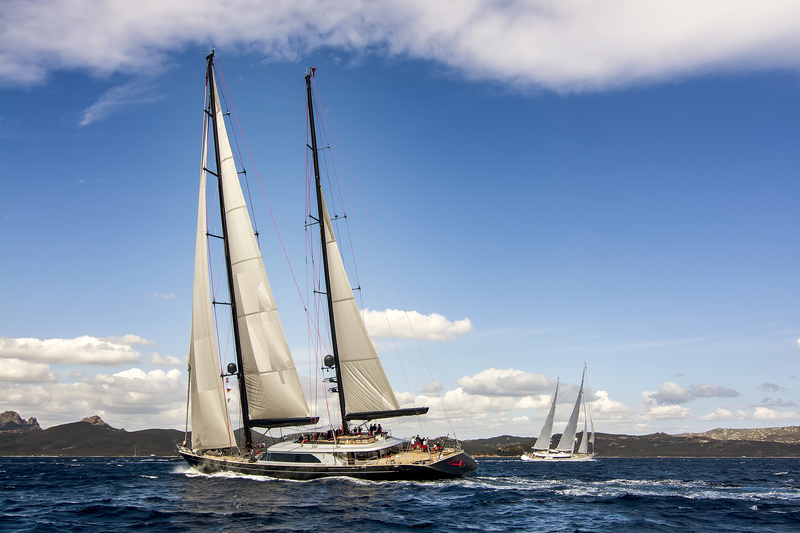 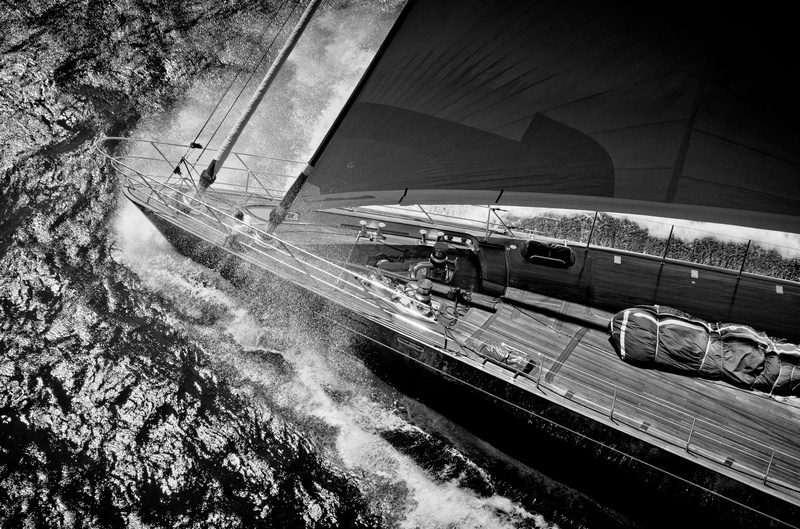 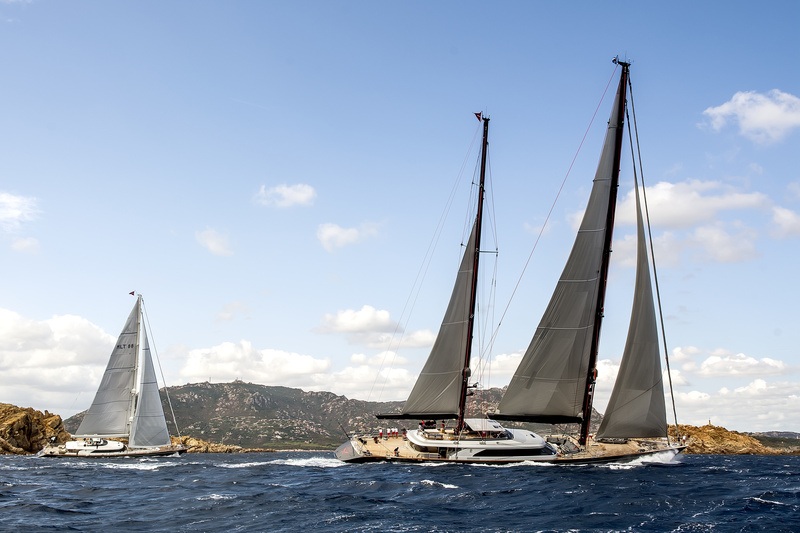 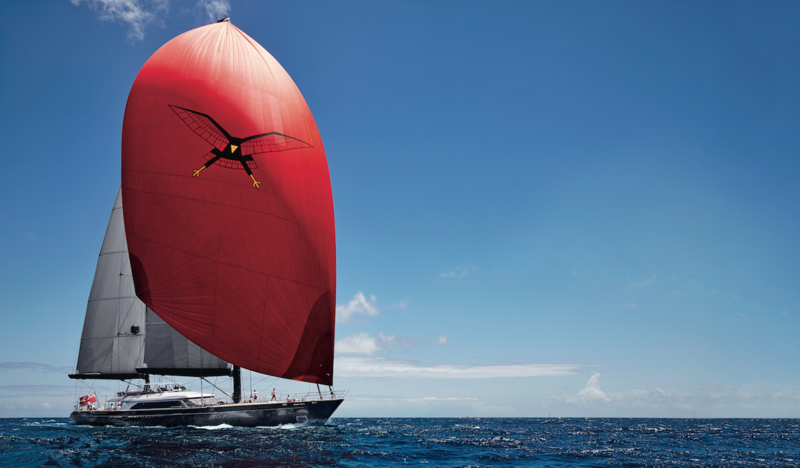 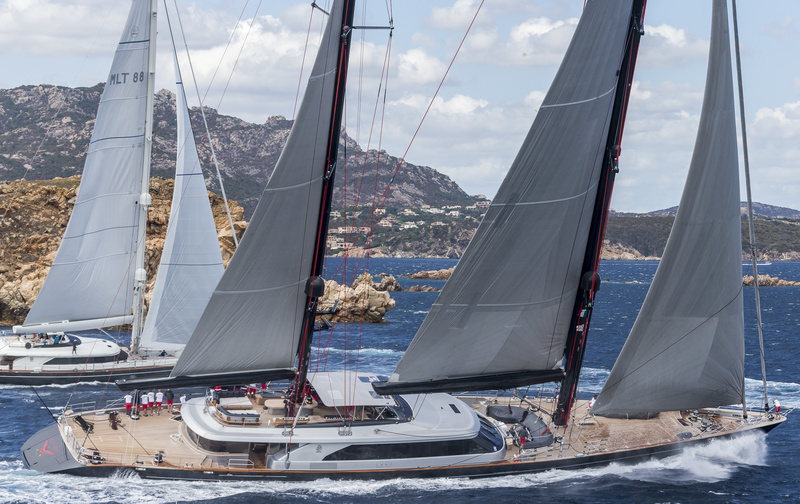 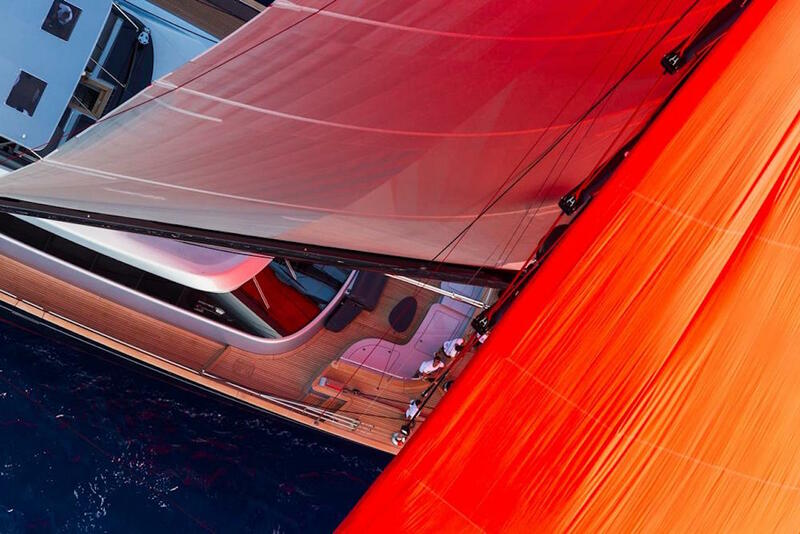 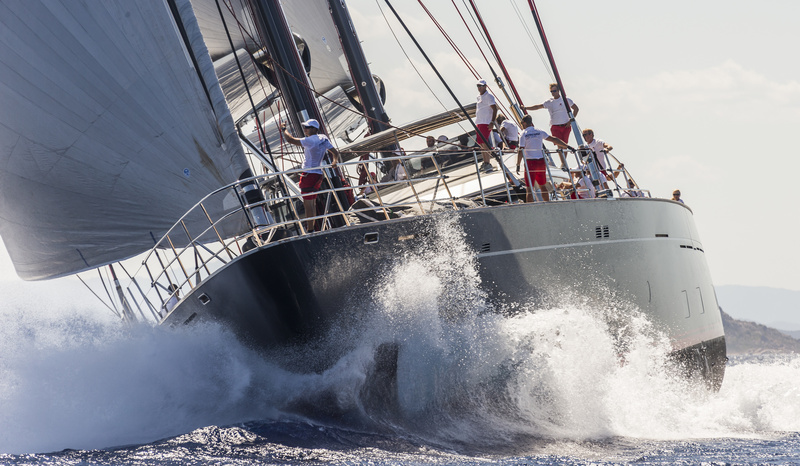 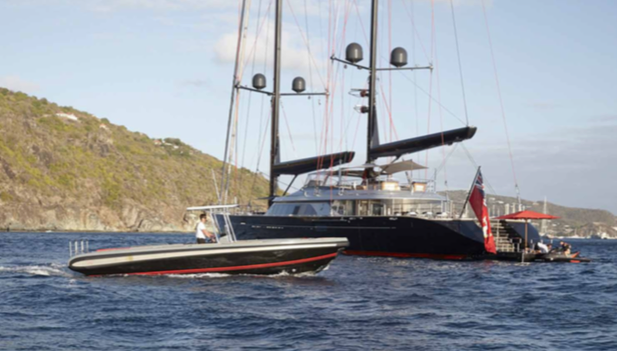 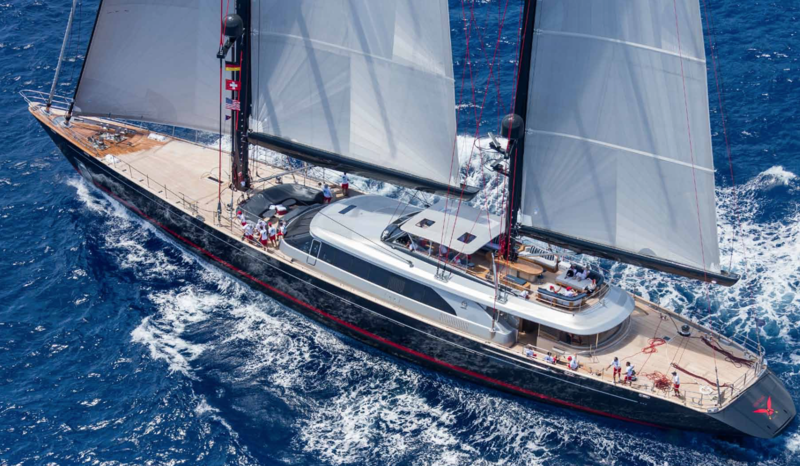 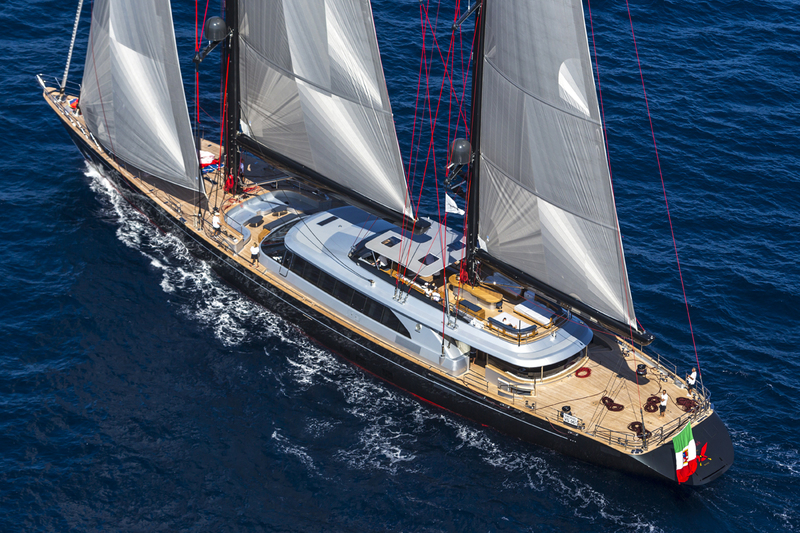 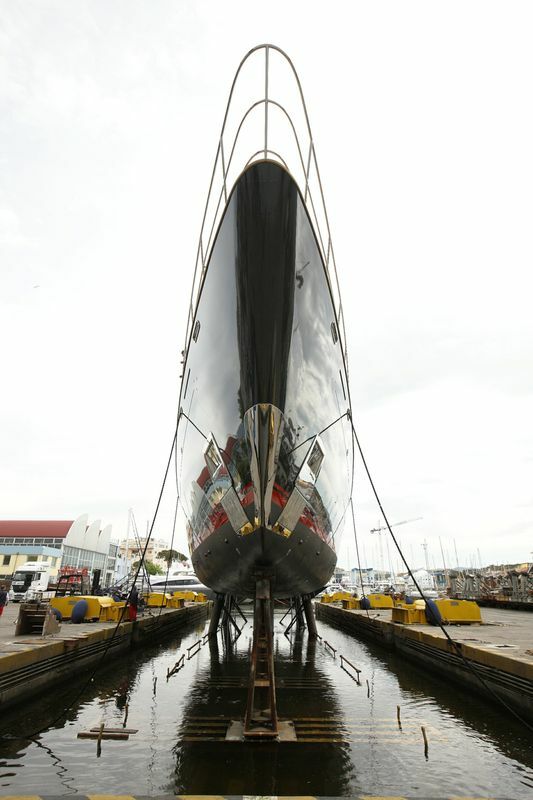 Built in aluminium, the 197´ Perini Navi superyacht SEAHAWK reaches a top speed of 15.5 knots. 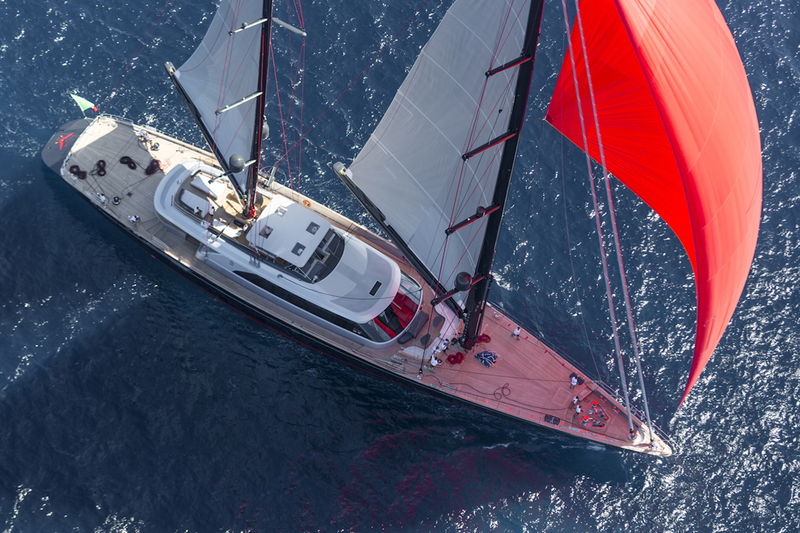 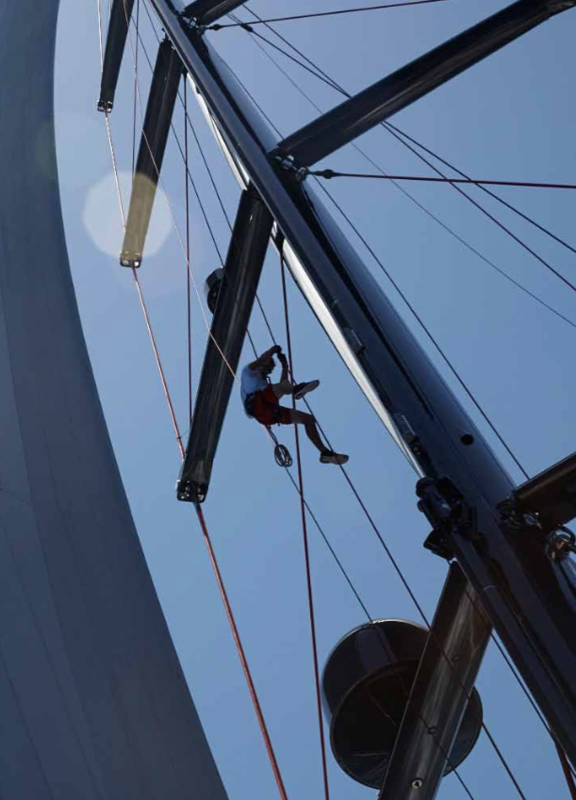 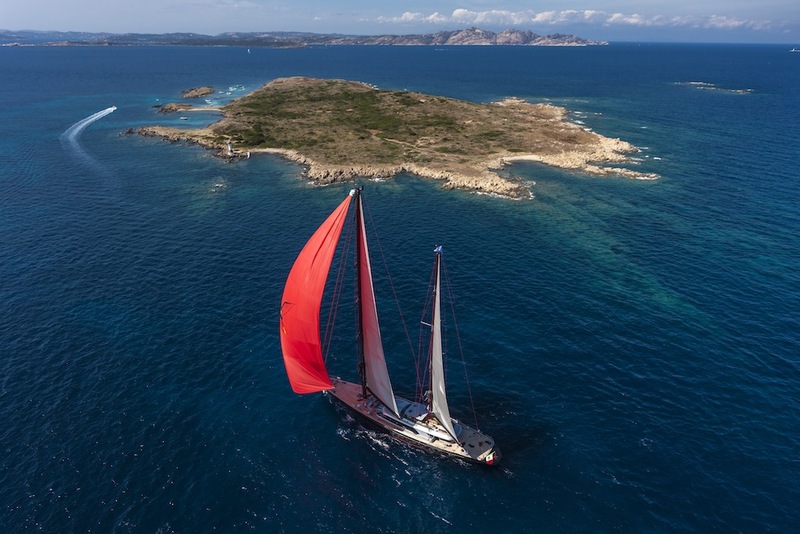 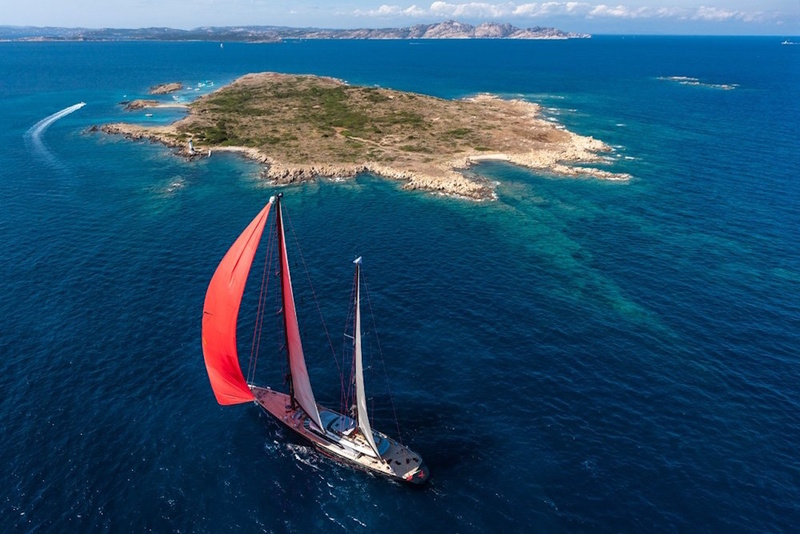 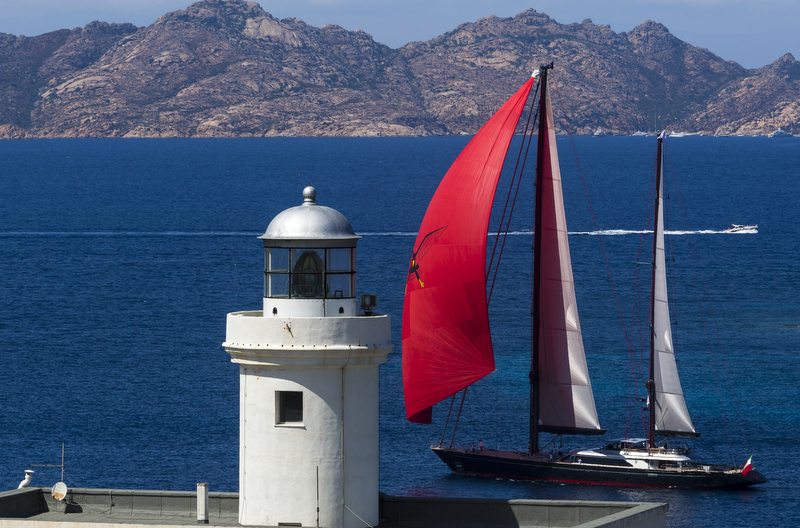 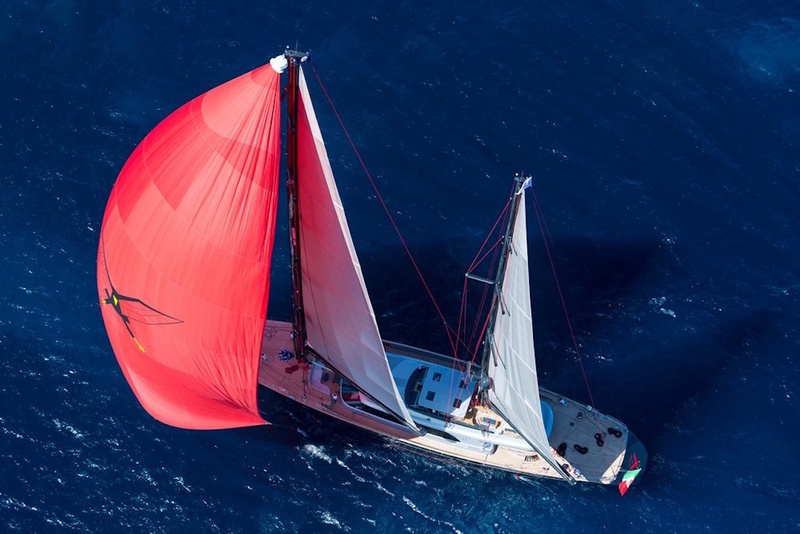 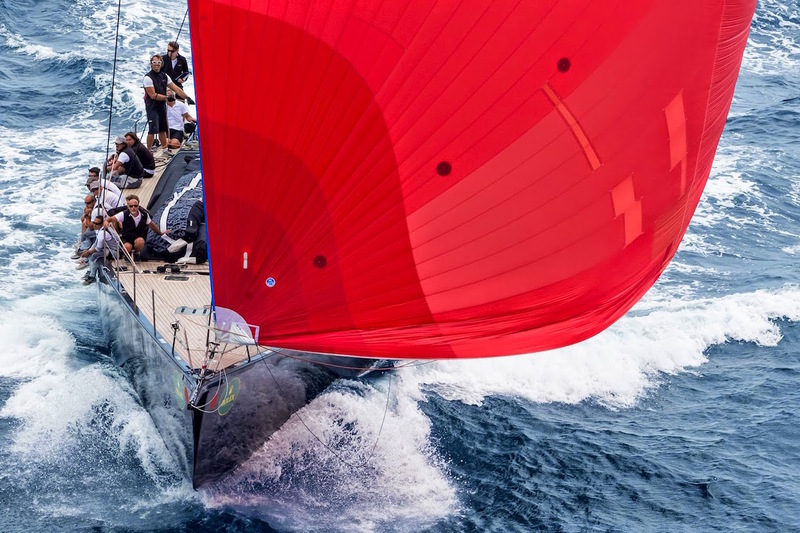 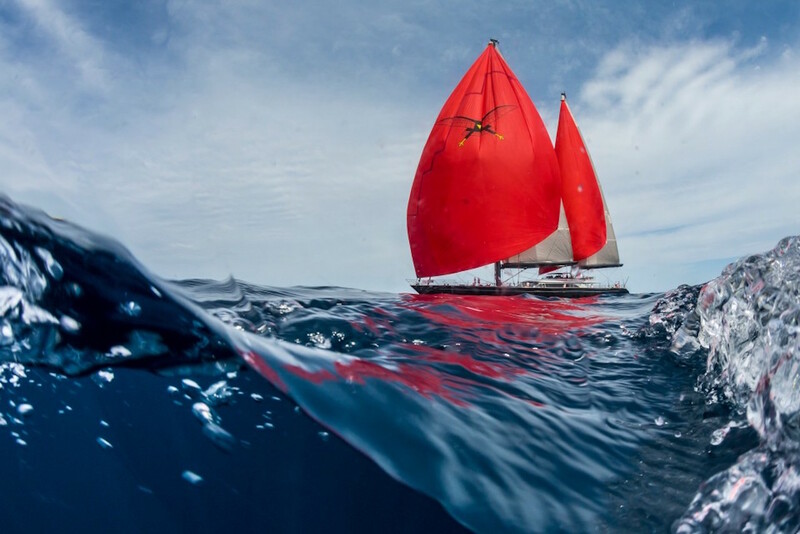 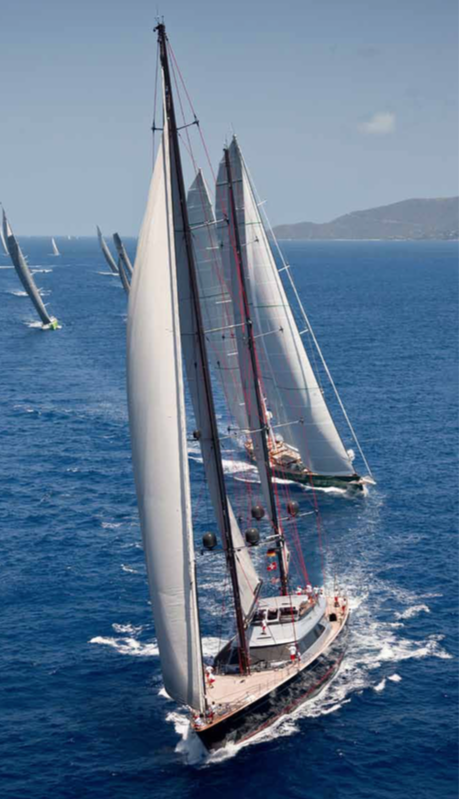 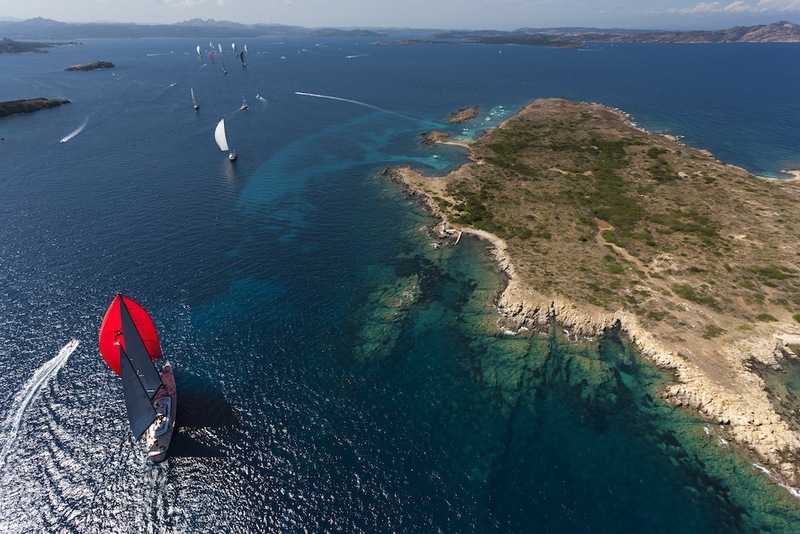 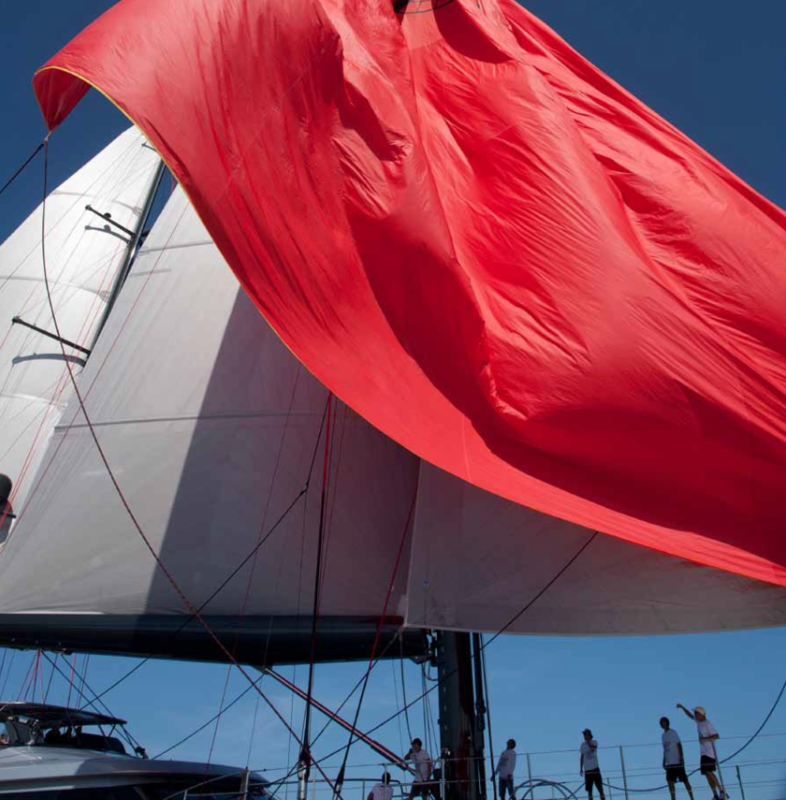 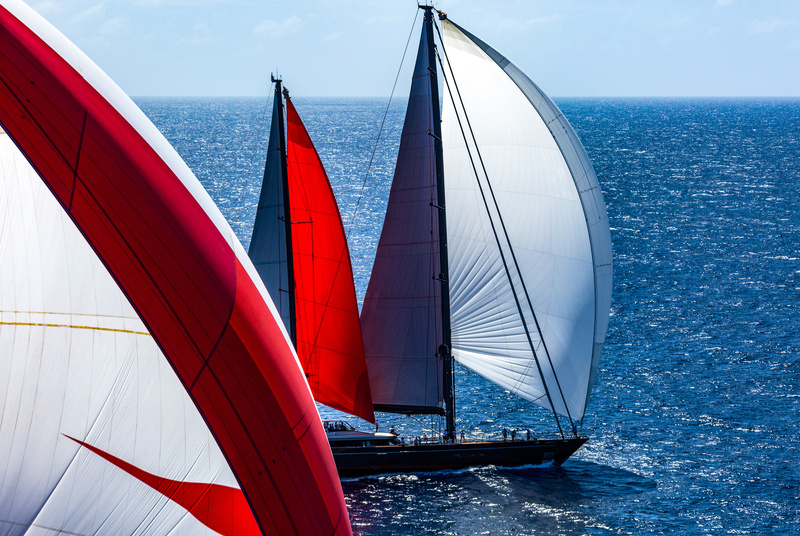 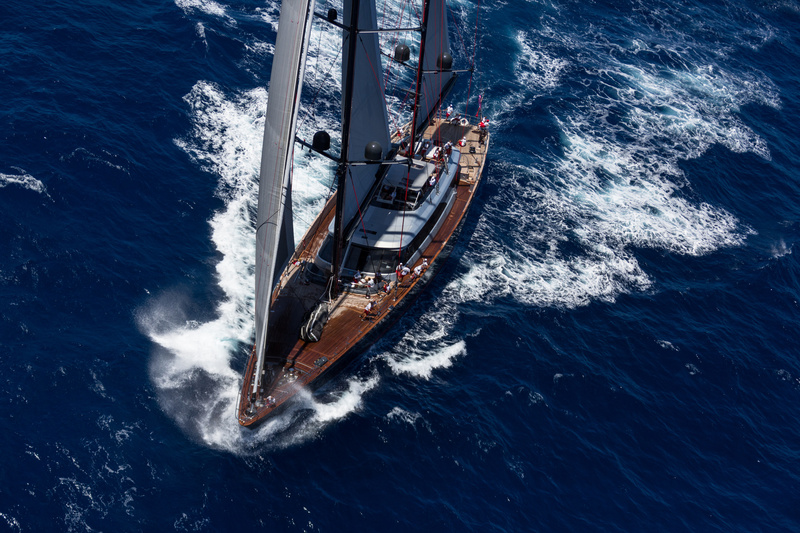 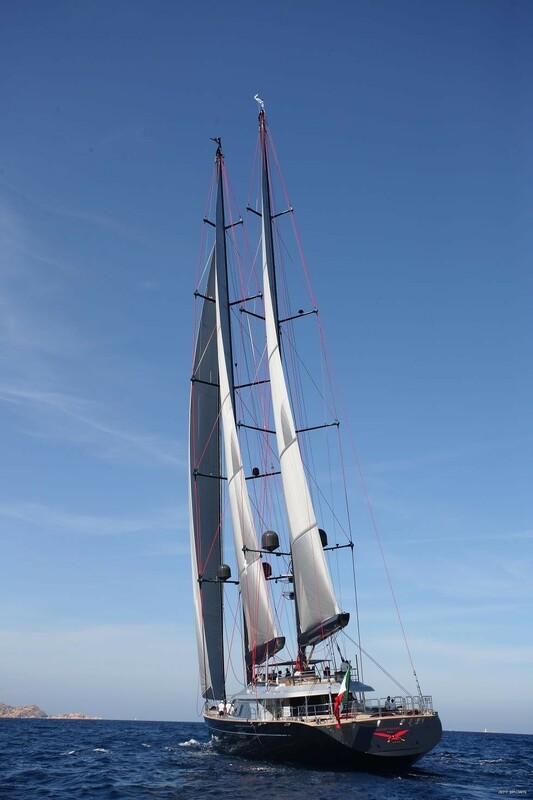 She features a large number of innovations, such as the new lifting keel from 4.30m to 12.30m, new faster and lighter captive winches, minimizing tacking time to under a minute, new furling systems for fore sails, carbon booms, as well as a new bathing platform. 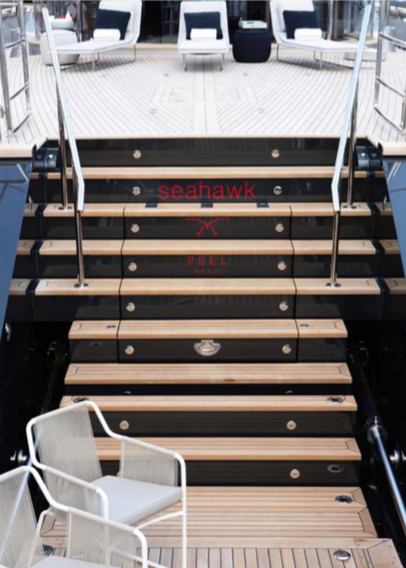 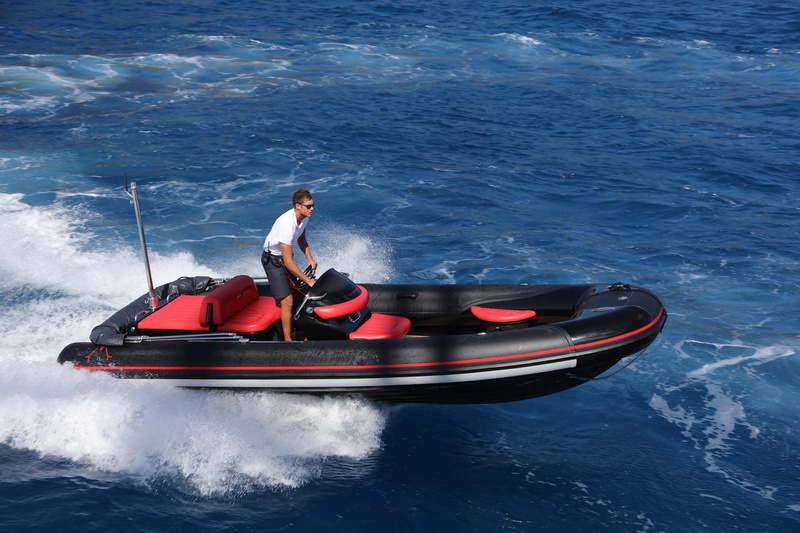 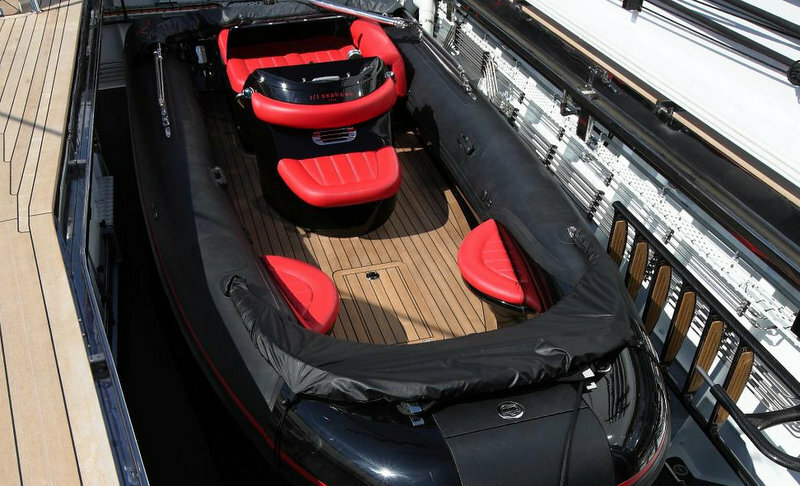 SEAHAWK is ABS classed and MCA compliant. 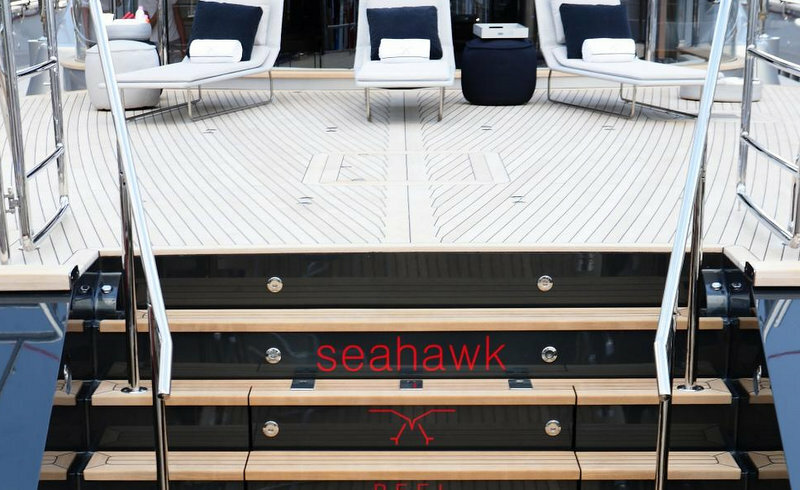 Superyacht SEAHAWK offers accommodation in 5 to 6 cabins, for up to 12 charter guests. 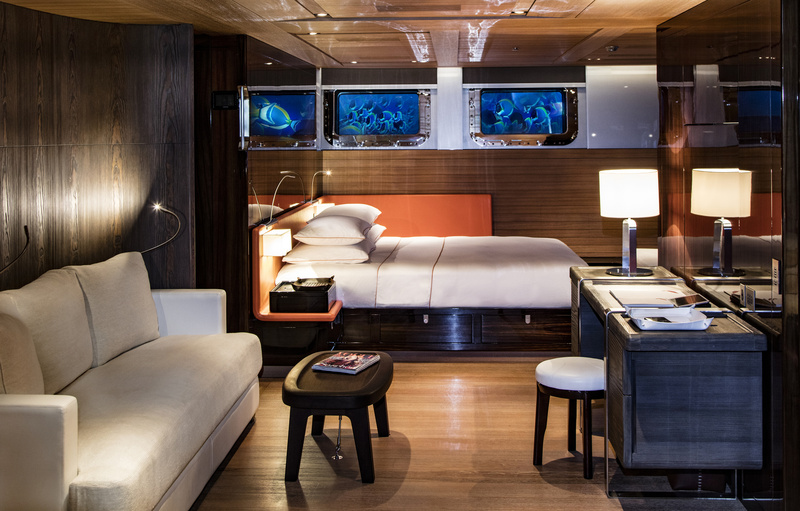 The master stateroom is full beam of the yacht aft and amidships, with a port and starboard queen bed, this cabin easily converts into 2 guest cabins, each with private en-suite facilities. 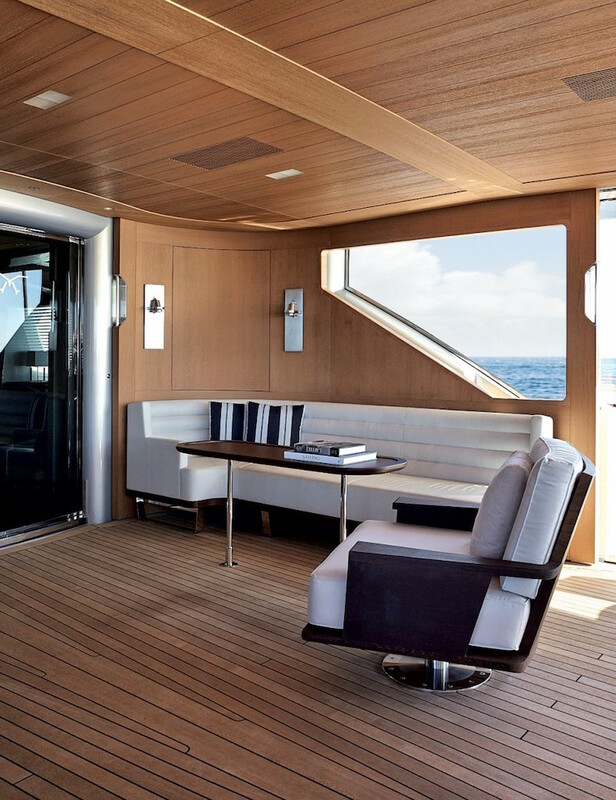 Two VIP cabins are forward of the master cabin on port and starboard. 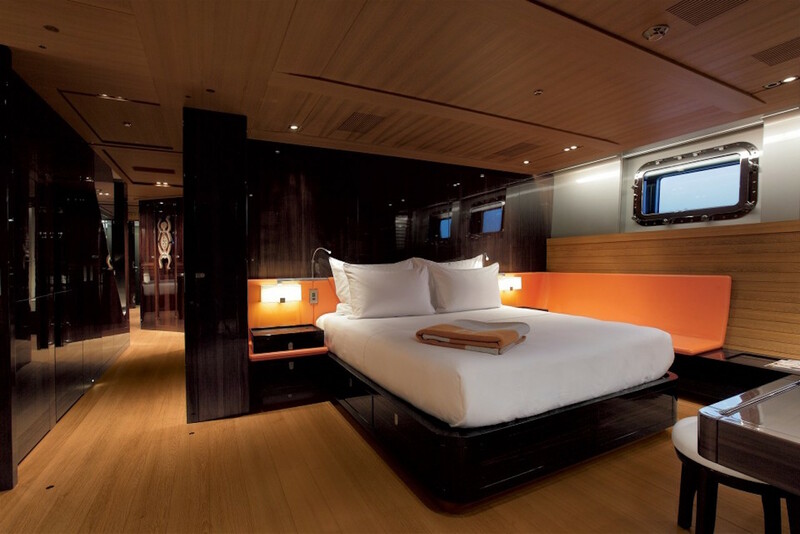 The Port VIP Stateroom includes a Queen bed 180x190 and a raised bunk bed 70x190. 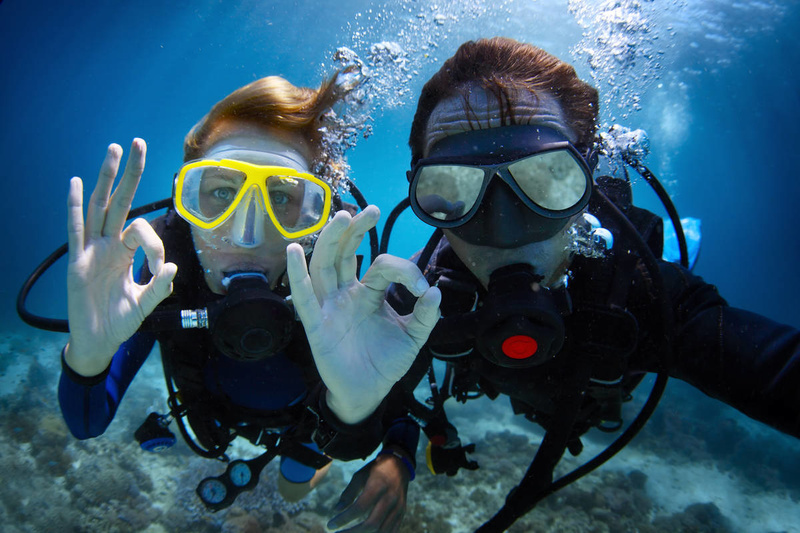 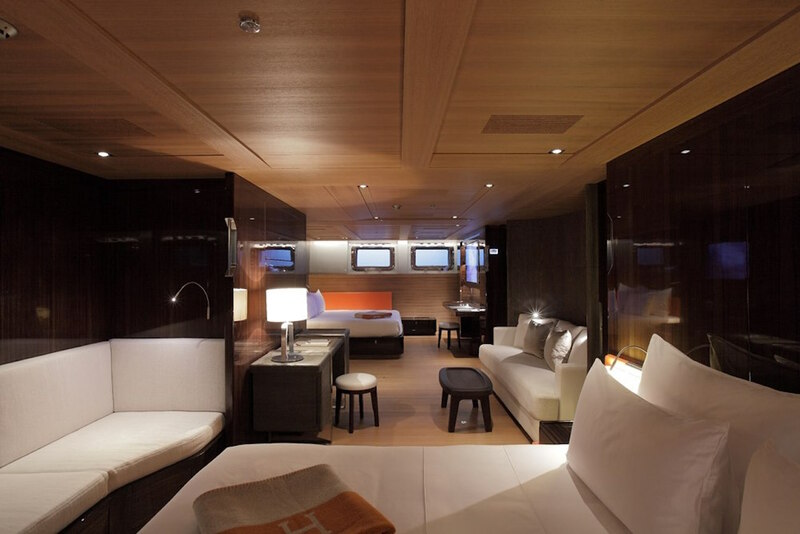 The bunks headroom is 80cm.The Starboard VIP cabin has a queen size bed measuring 172x197. 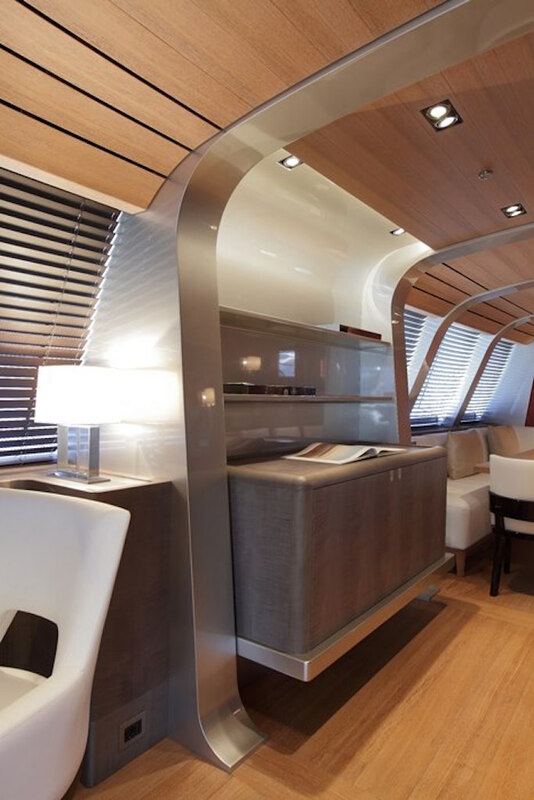 A further 2 guests cabins forward offer double beds measuring 124x210 at the head and 110 wide at the foot with an additional settee 68x198 and a Pullman bed rated for 75kg. 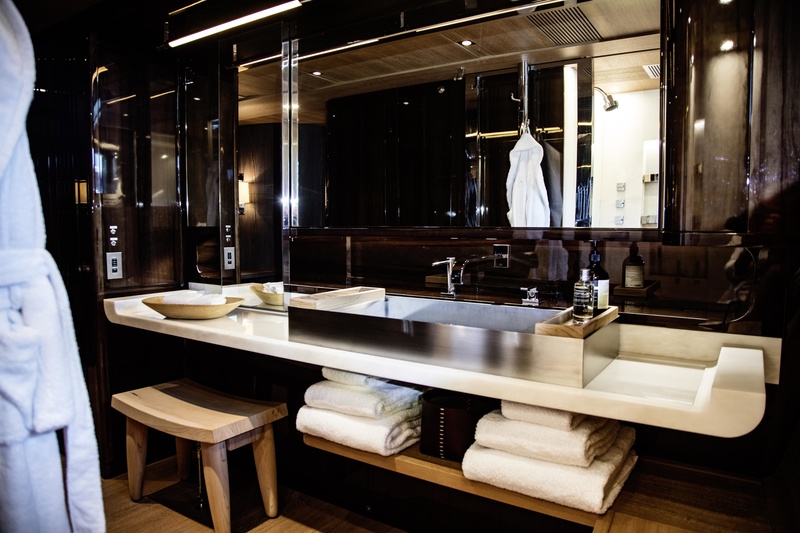 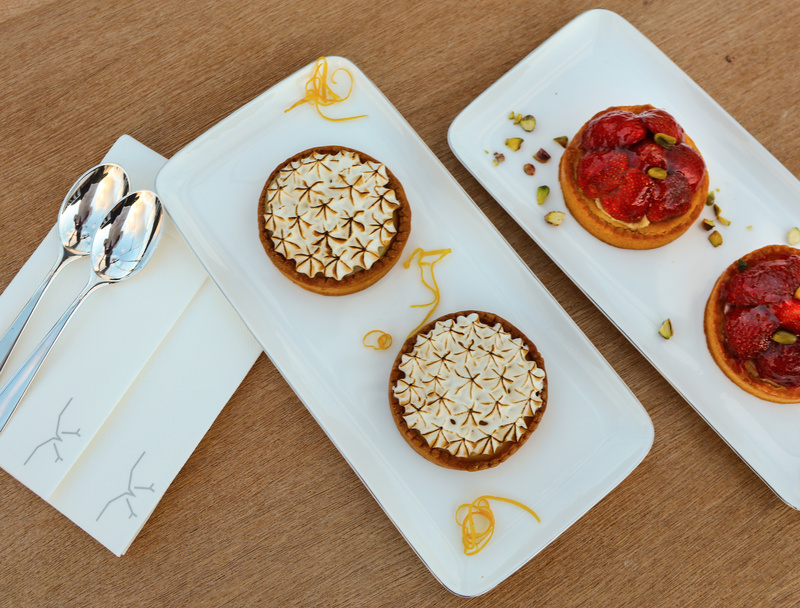 All guest cabins are elegantly appointing in a serene and spacious setting, each cabin offers en-suite facilities and state of the art electronics including SAT TV where available, for guests to enjoy.